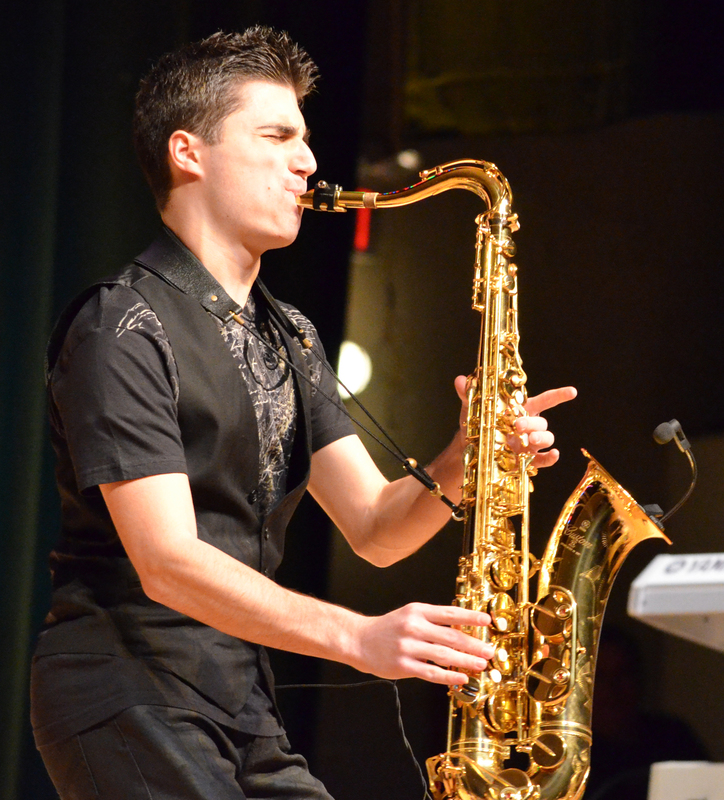 Posted by Mike C. in Internet, Jazz, Media, Music, Personal, Photography, Travel. 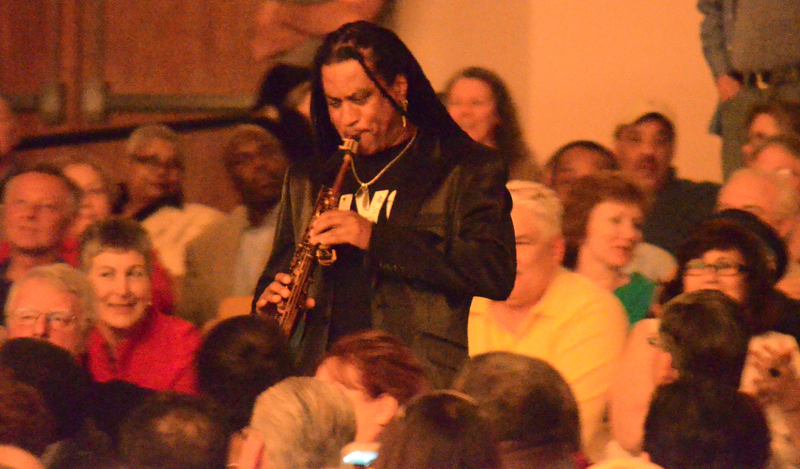 Updated on 8/20/13 with two videos. 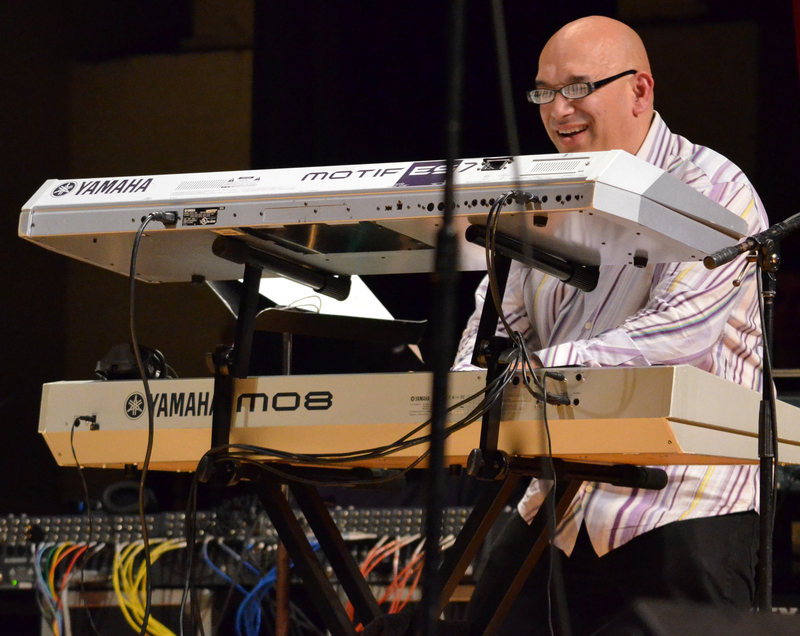 If at first you succeed, try to duplicate the success the following night. 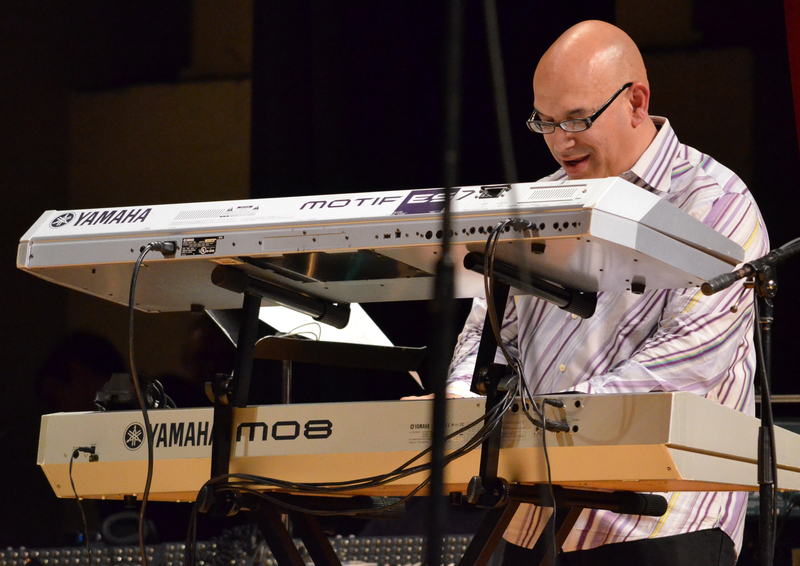 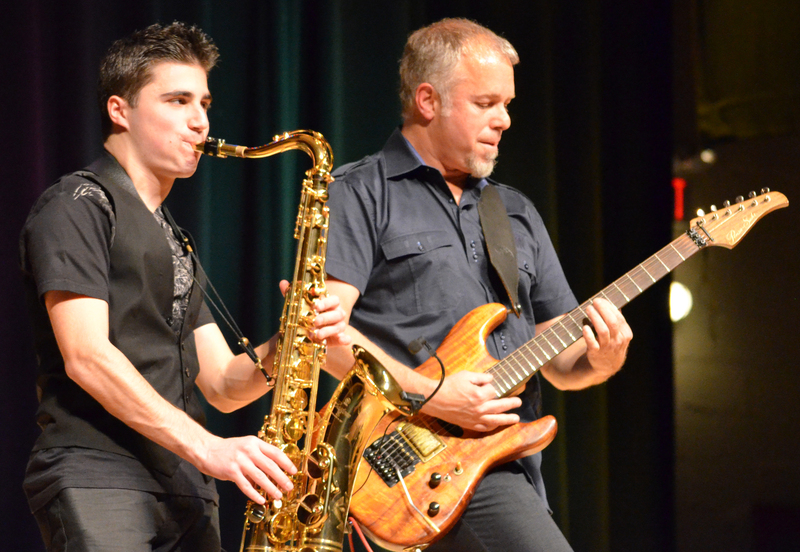 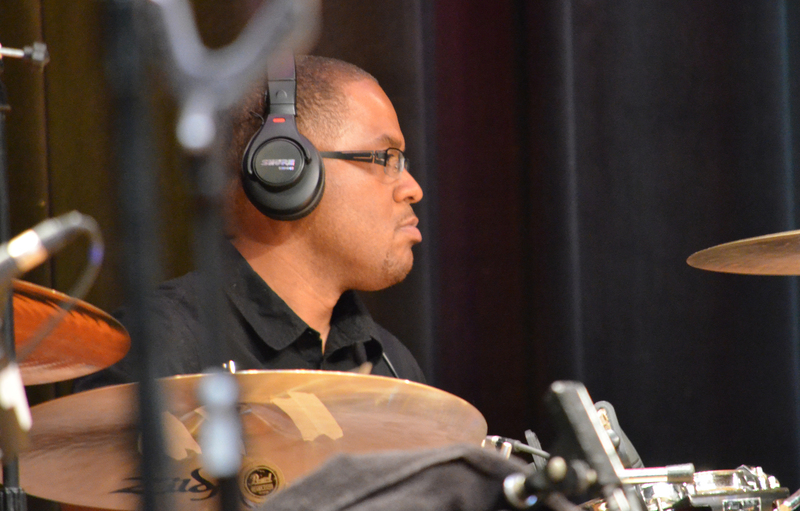 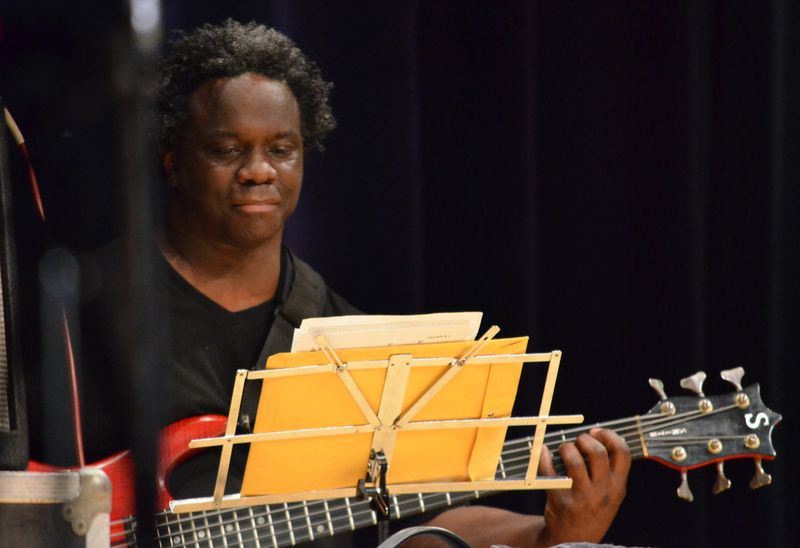 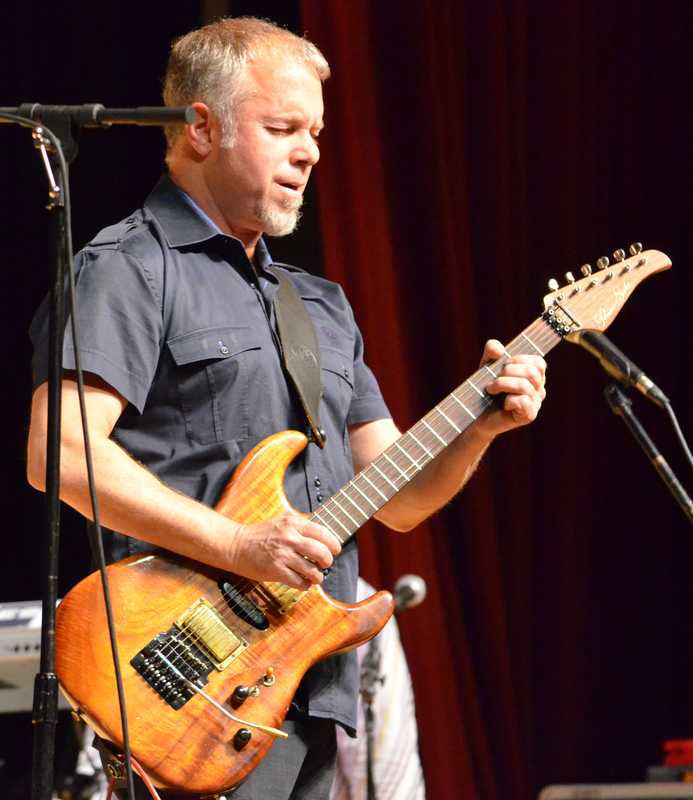 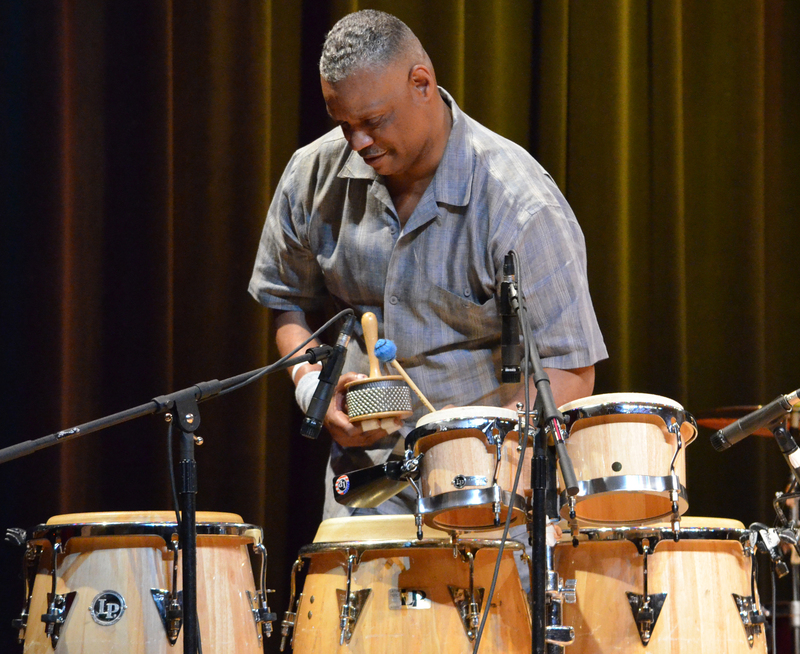 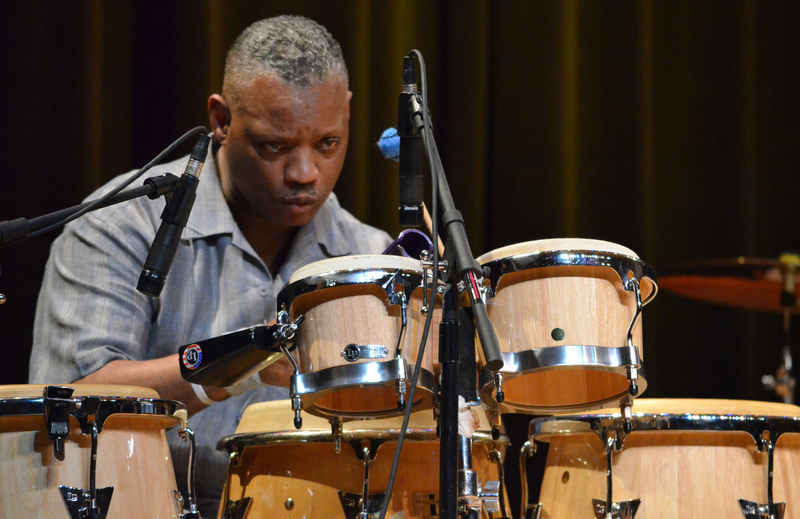 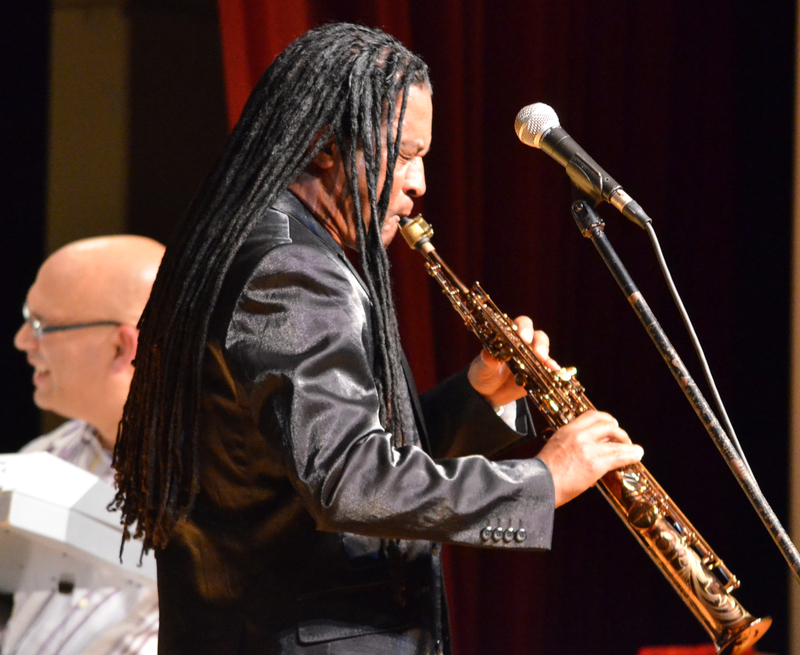 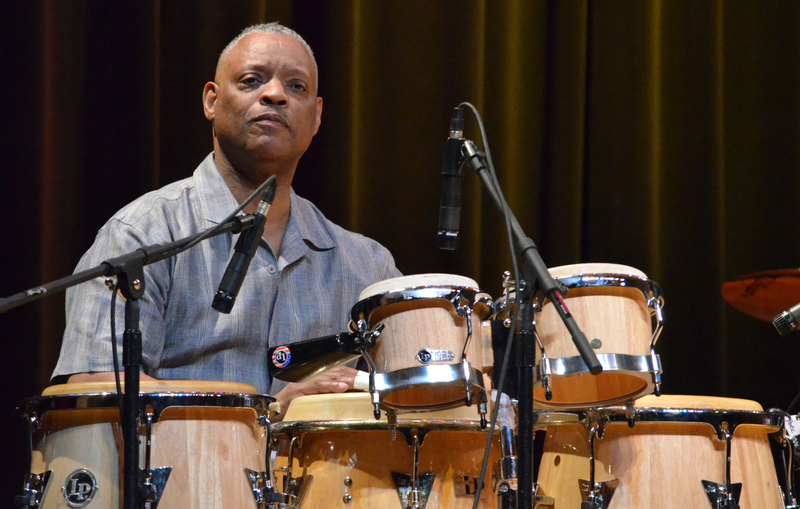 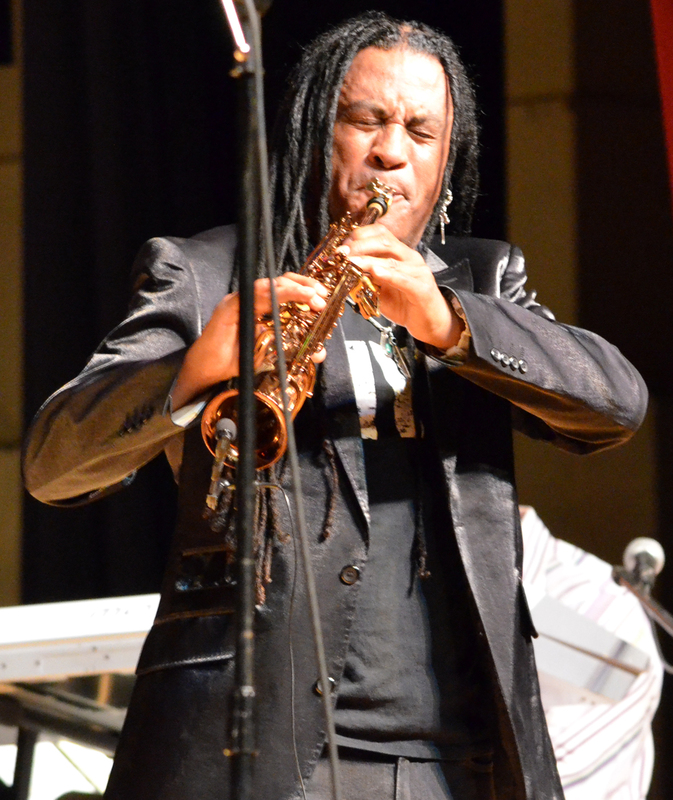 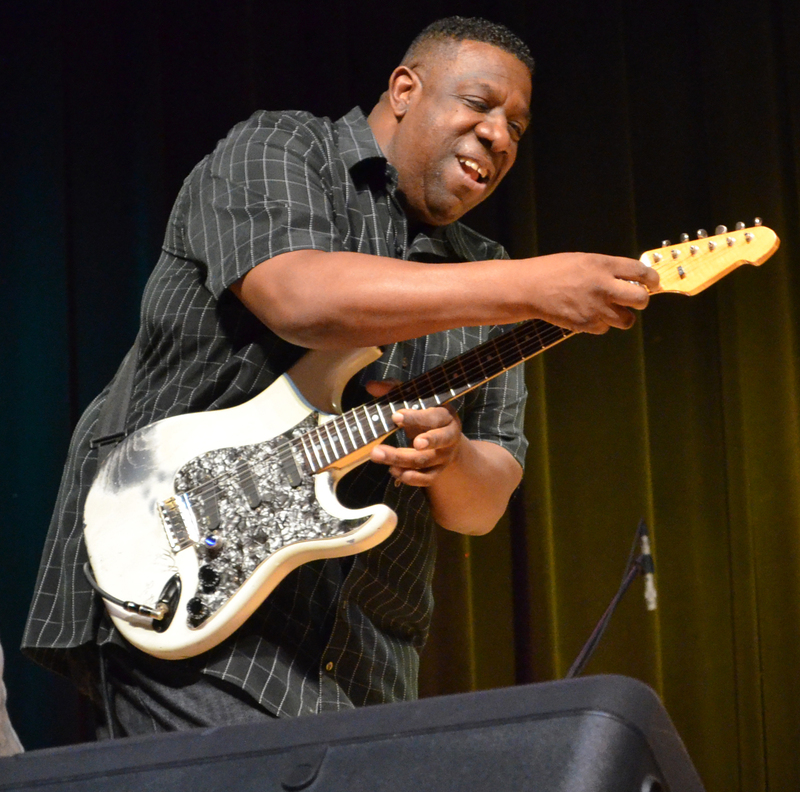 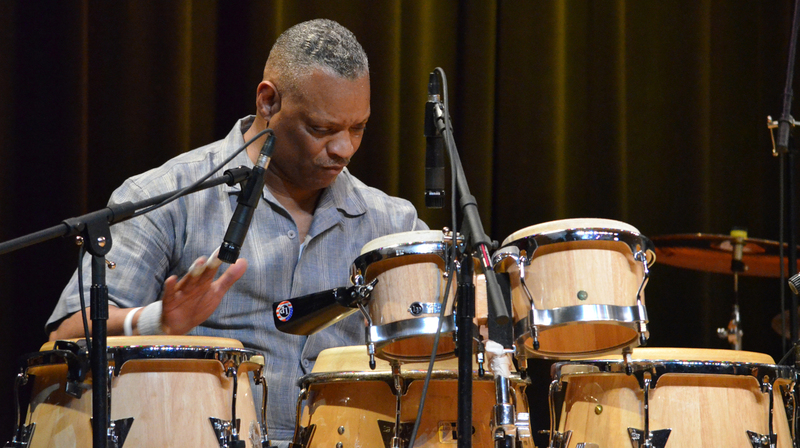 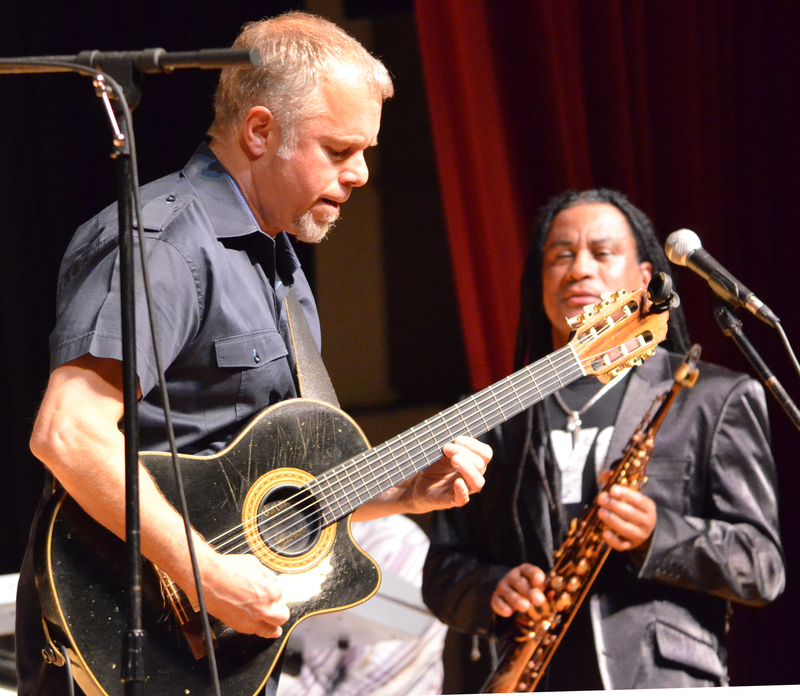 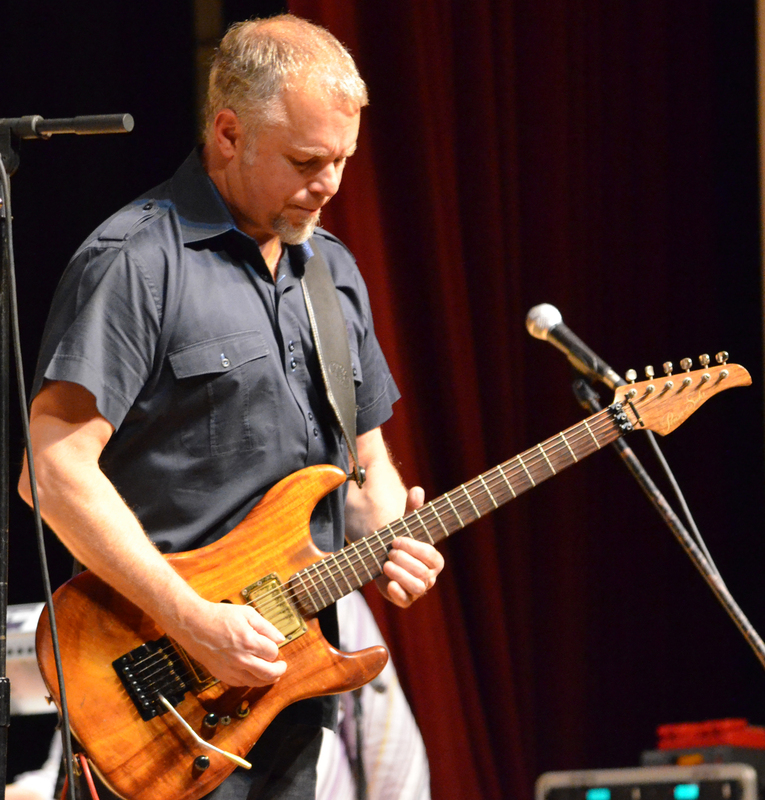 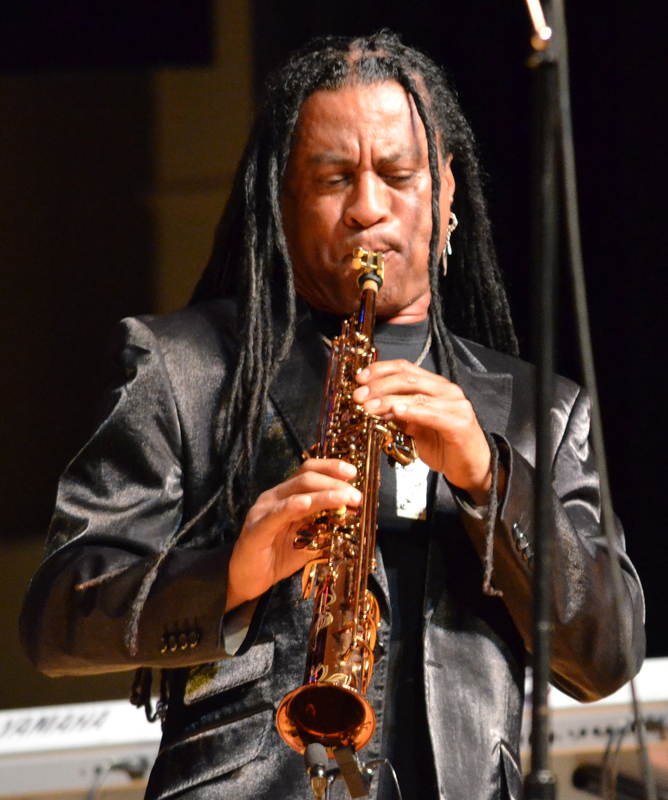 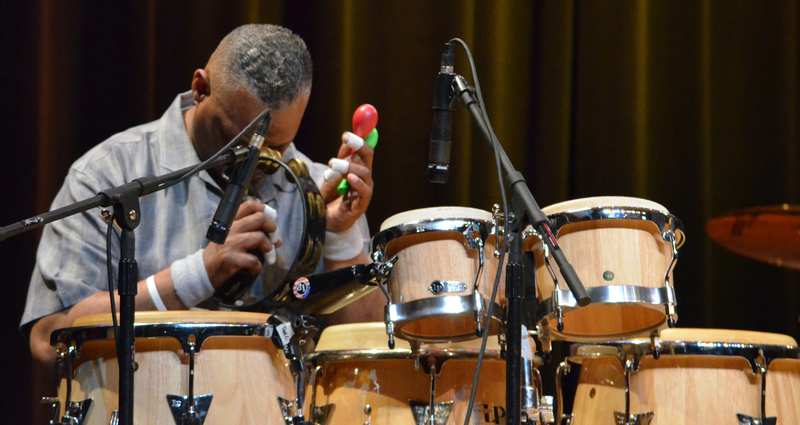 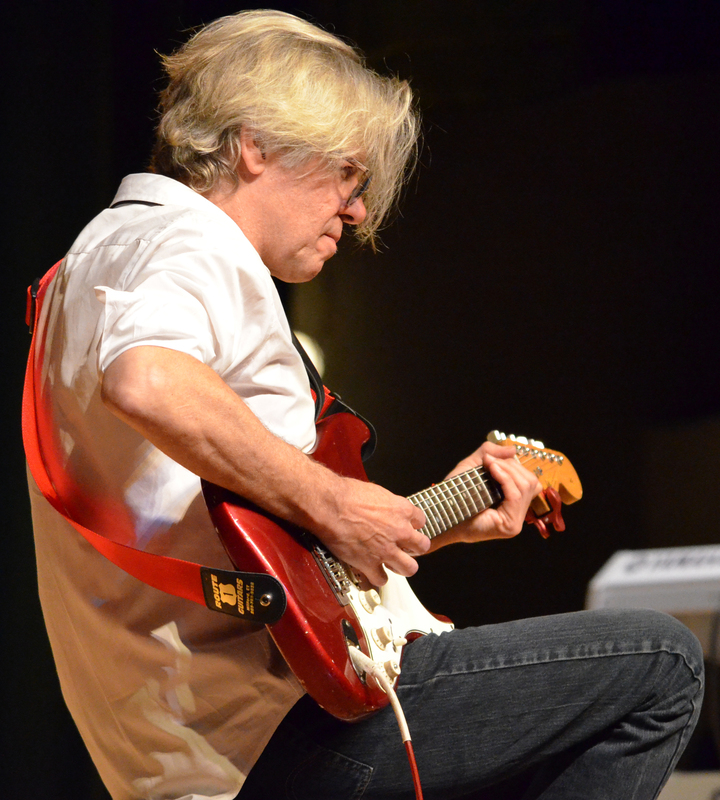 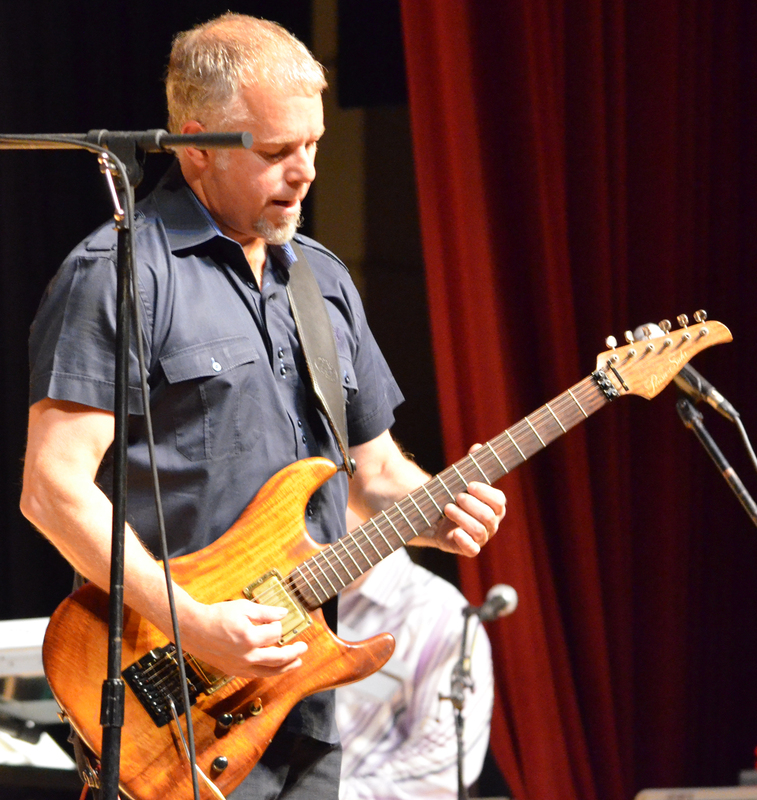 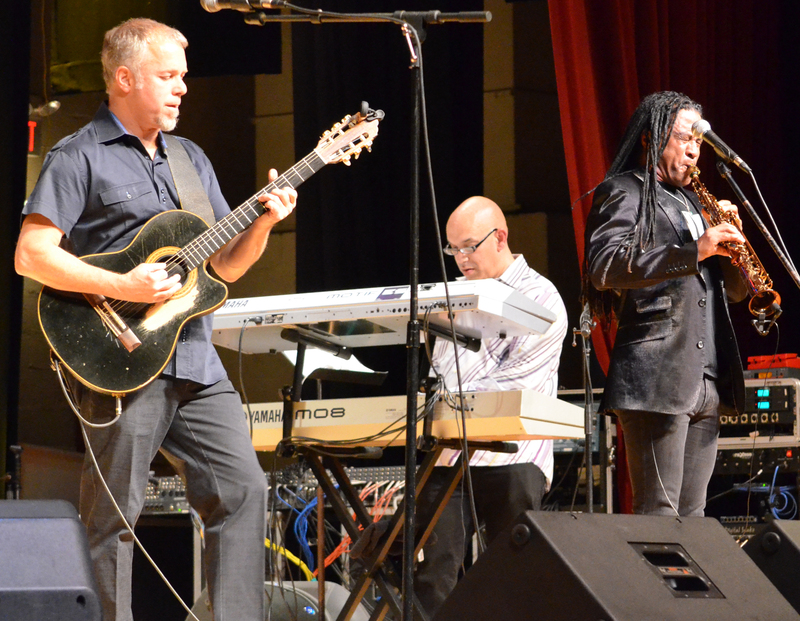 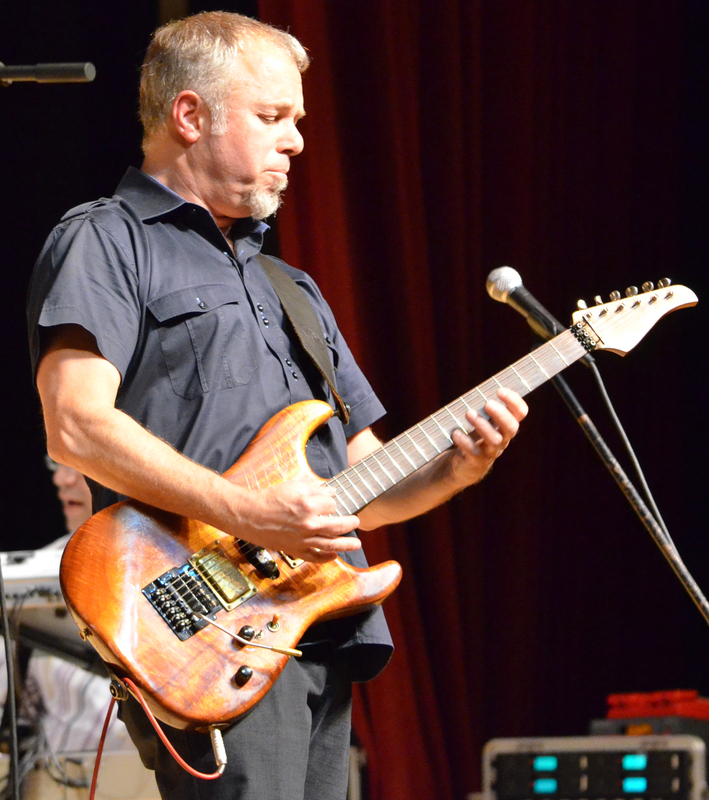 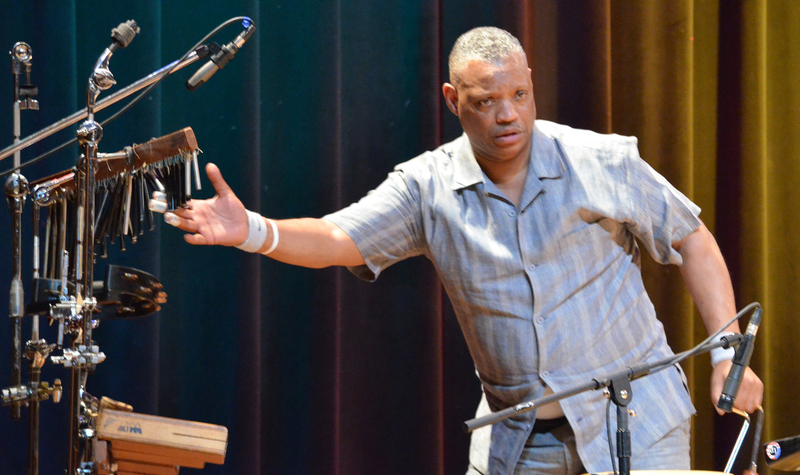 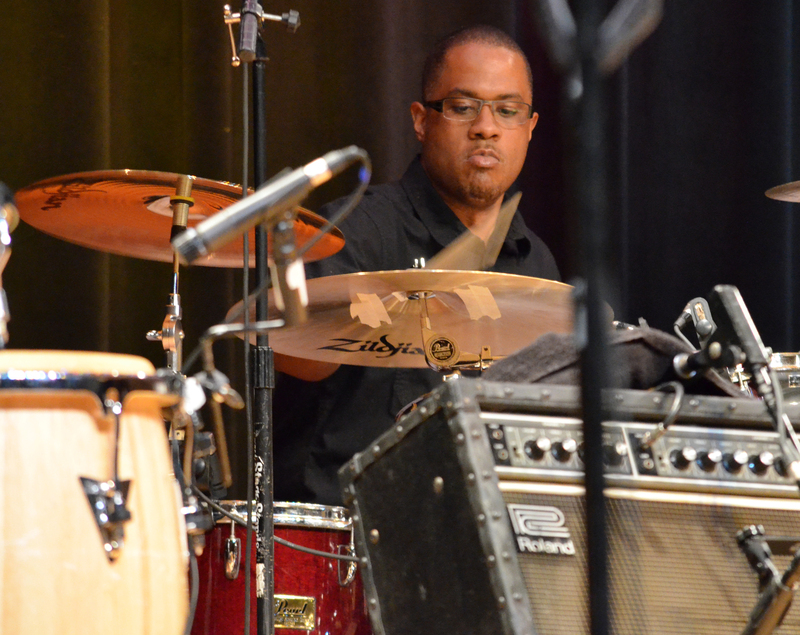 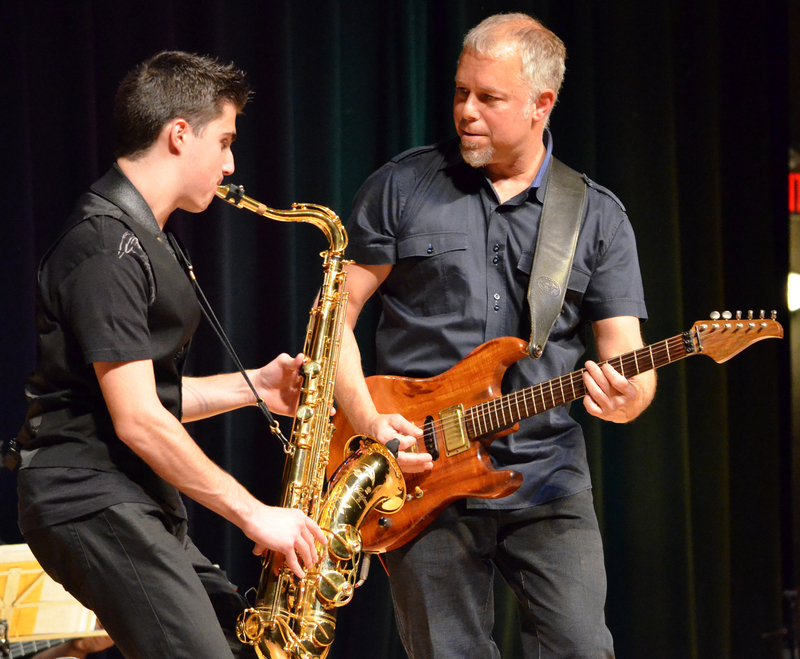 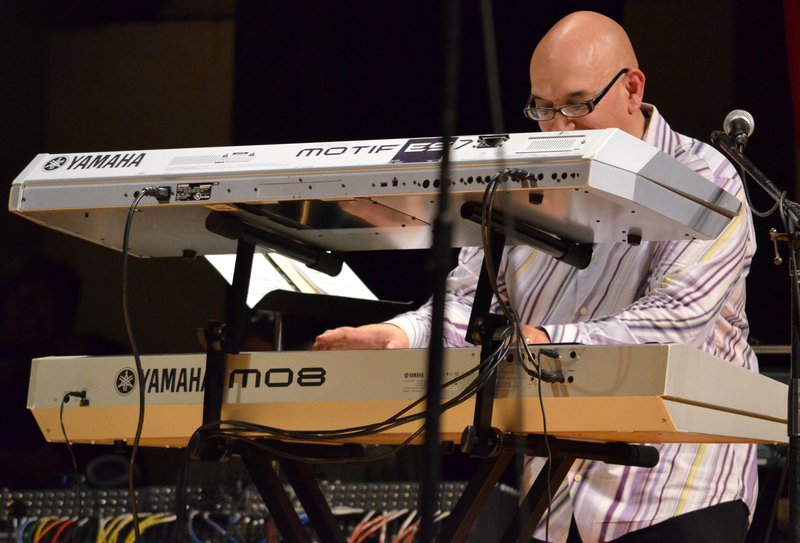 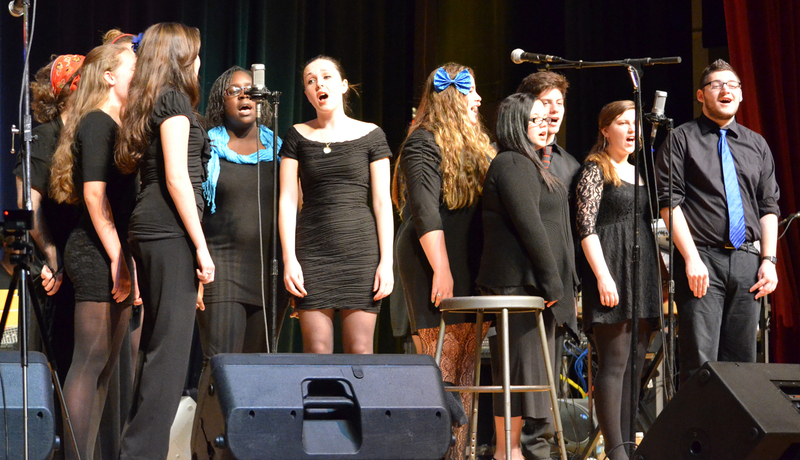 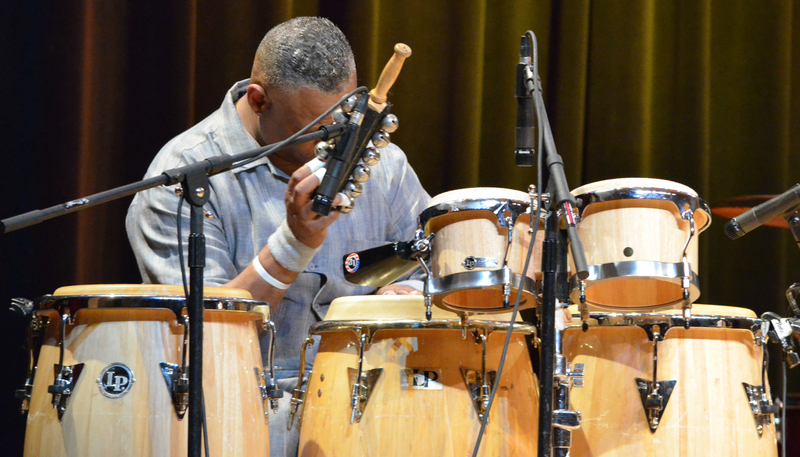 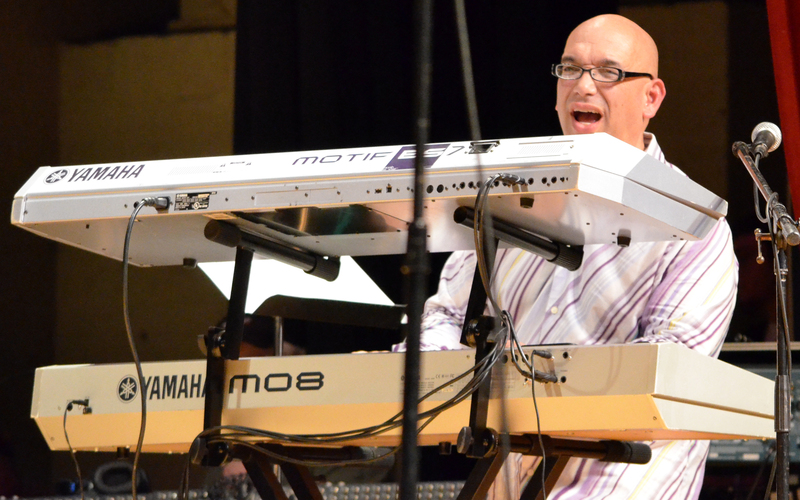 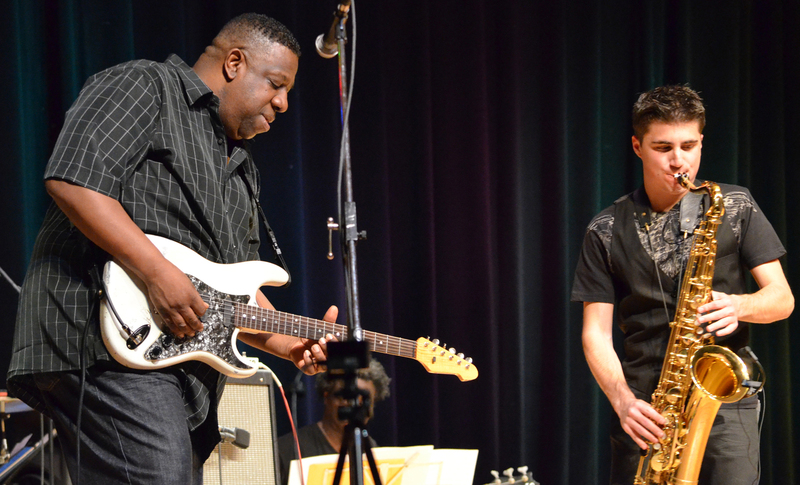 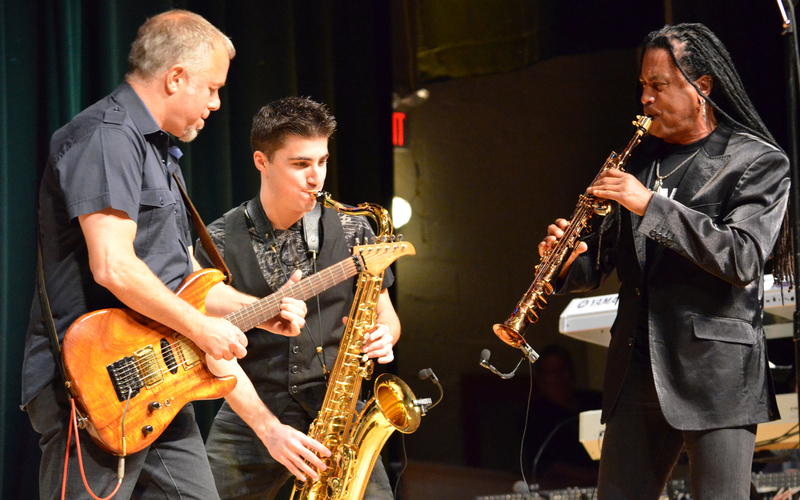 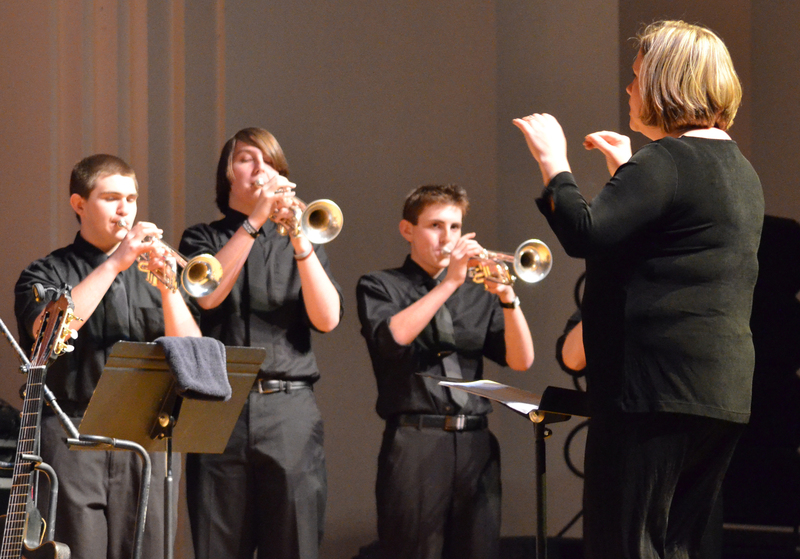 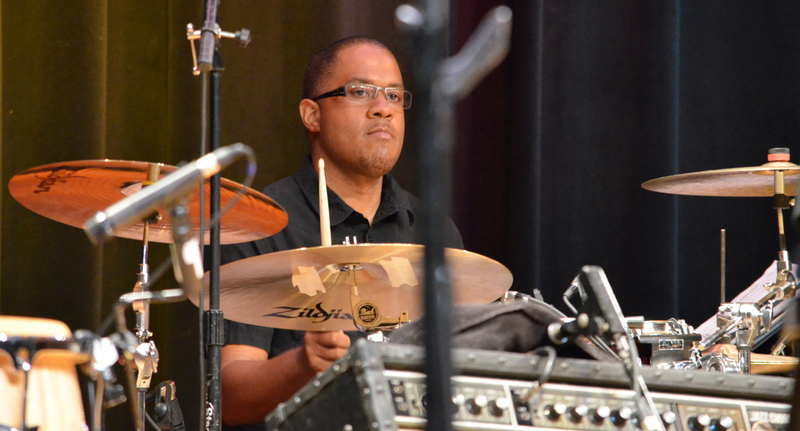 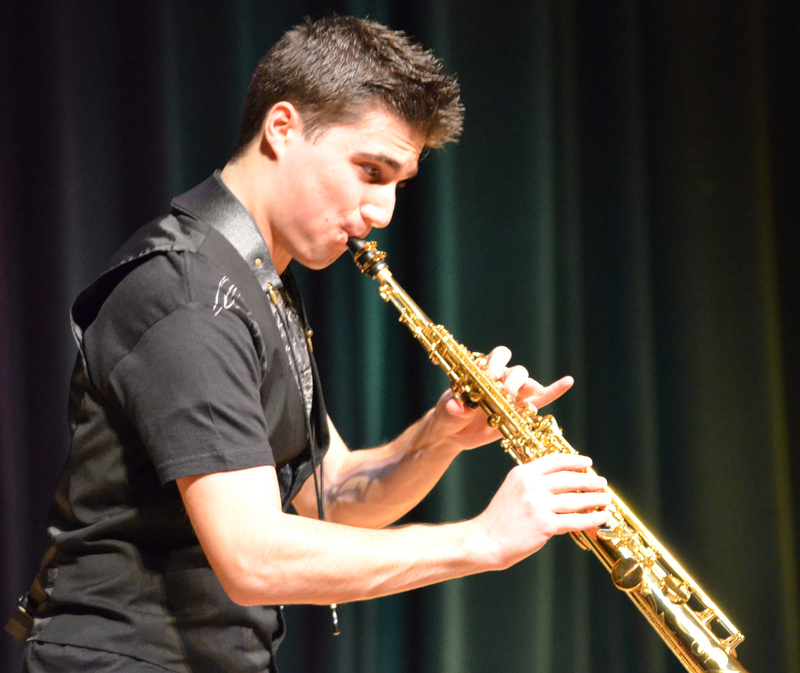 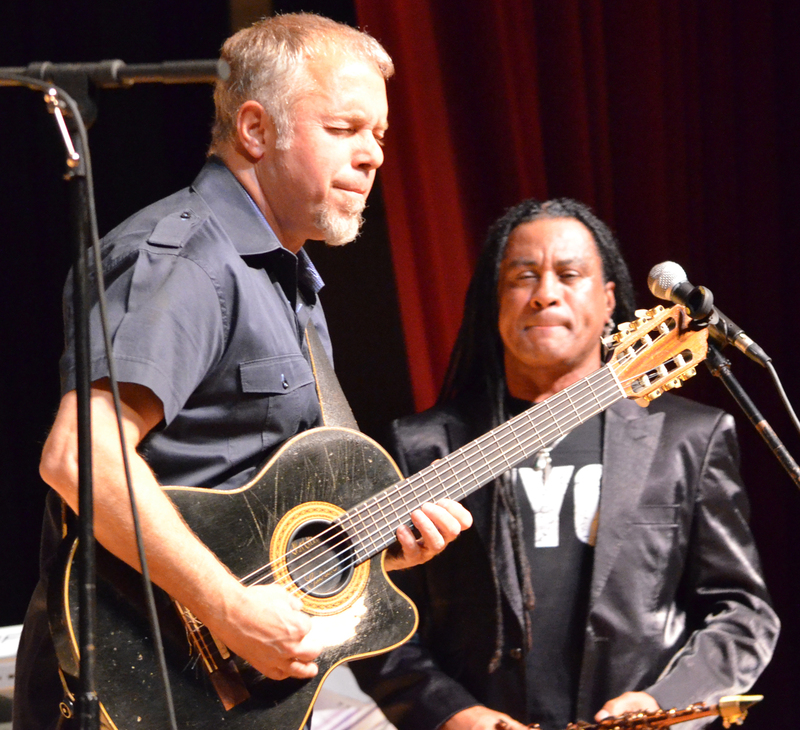 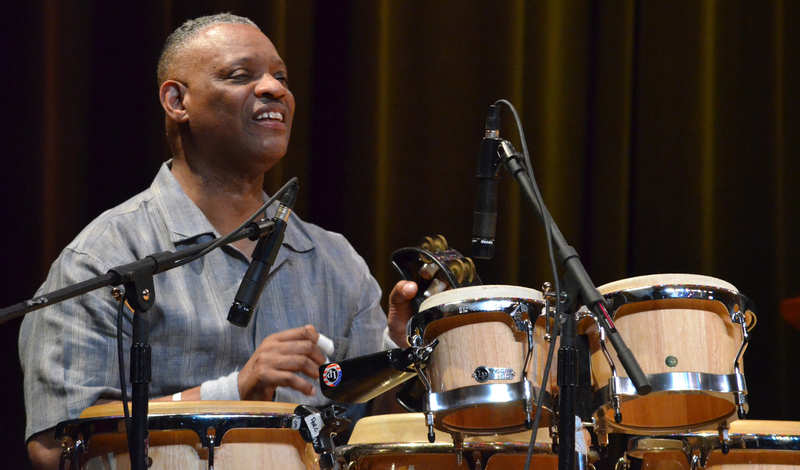 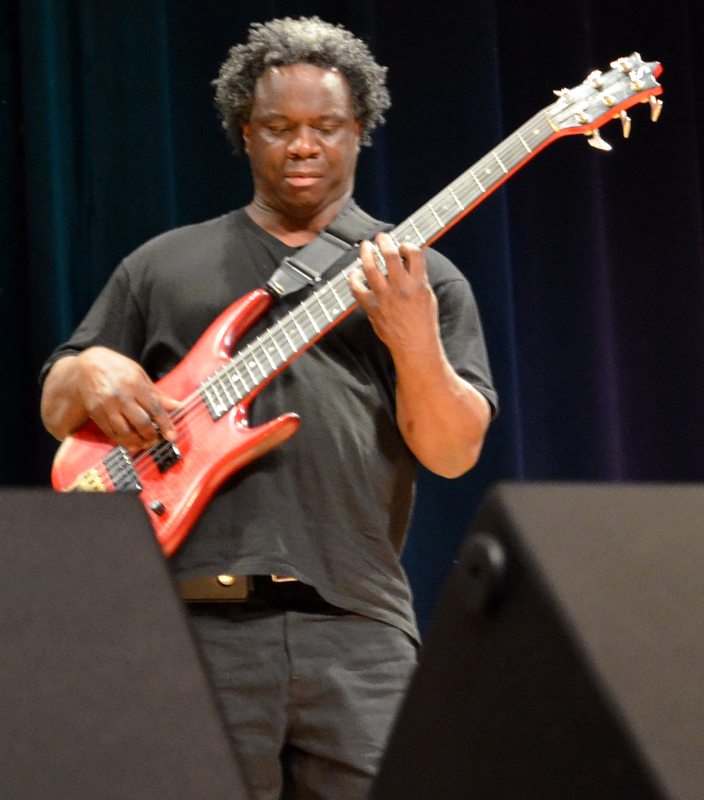 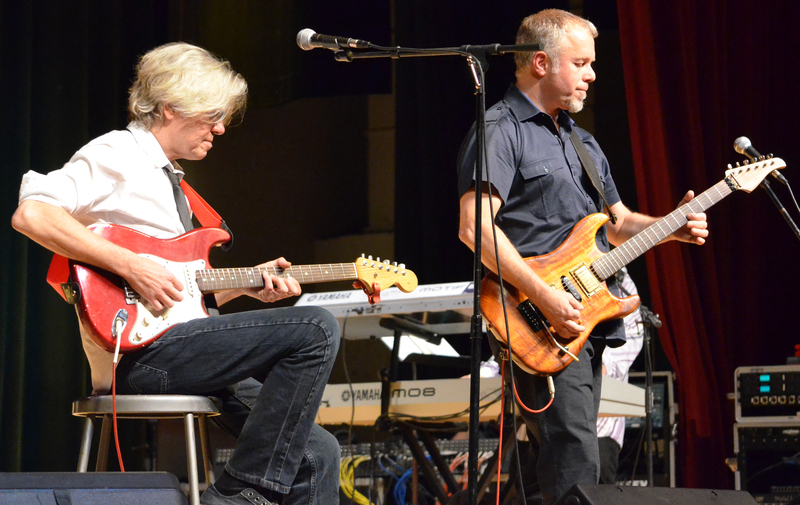 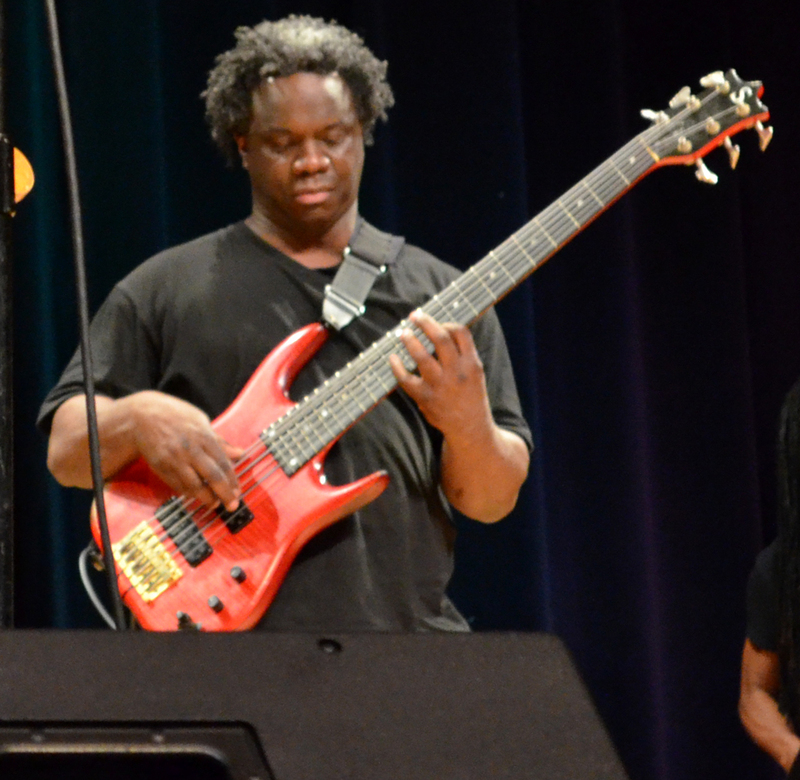 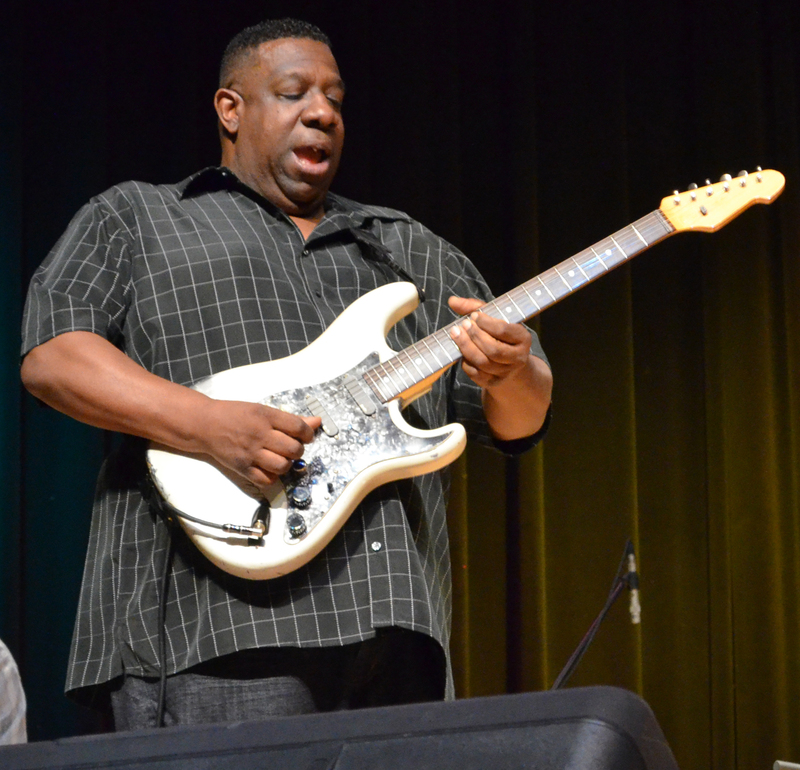 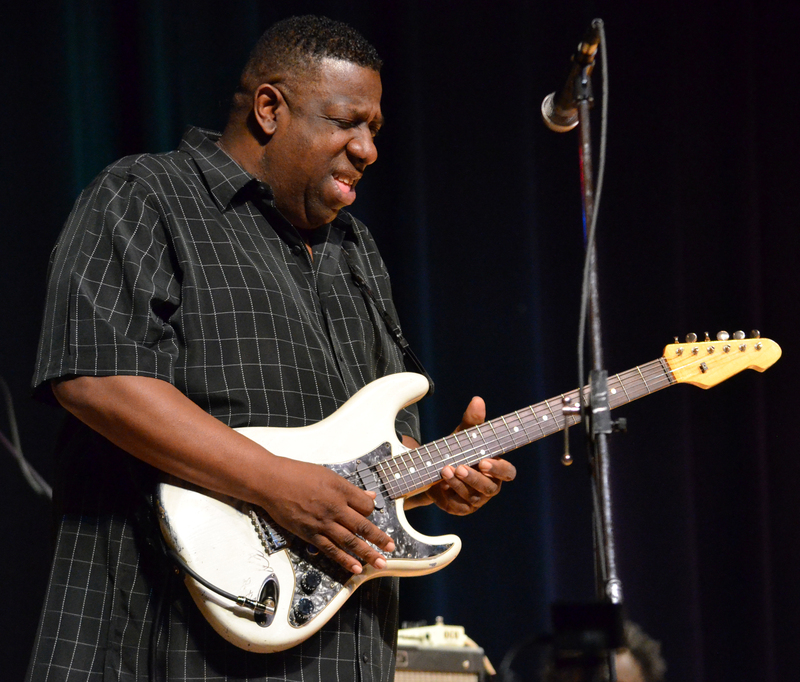 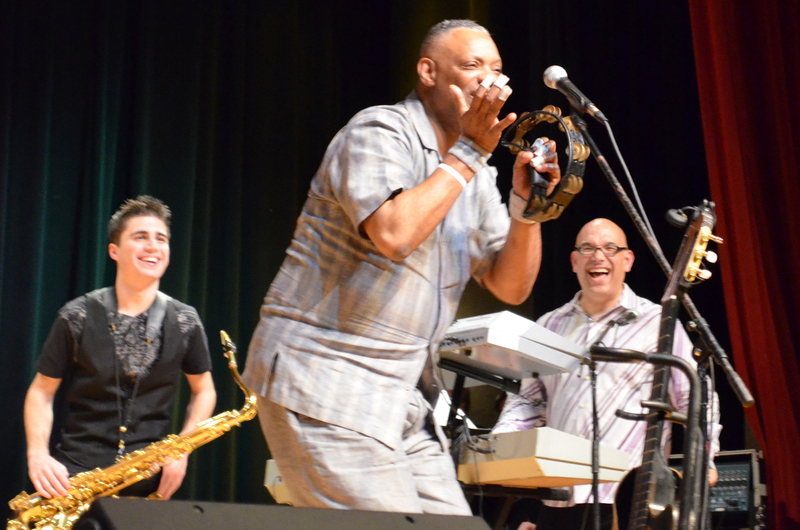 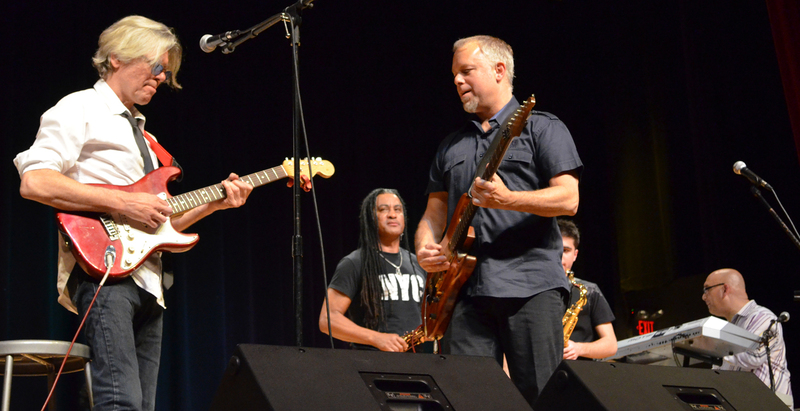 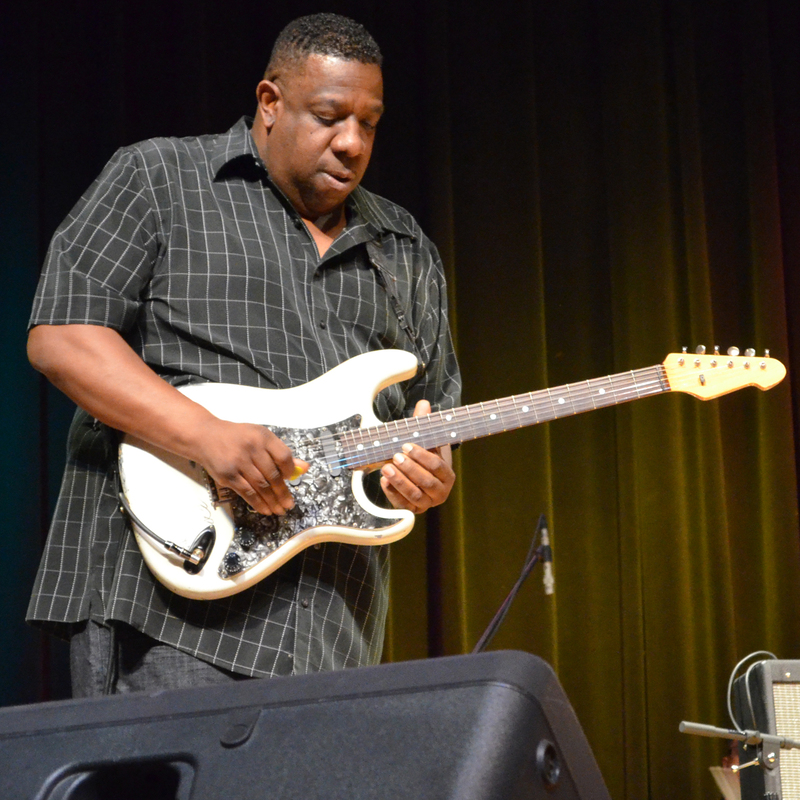 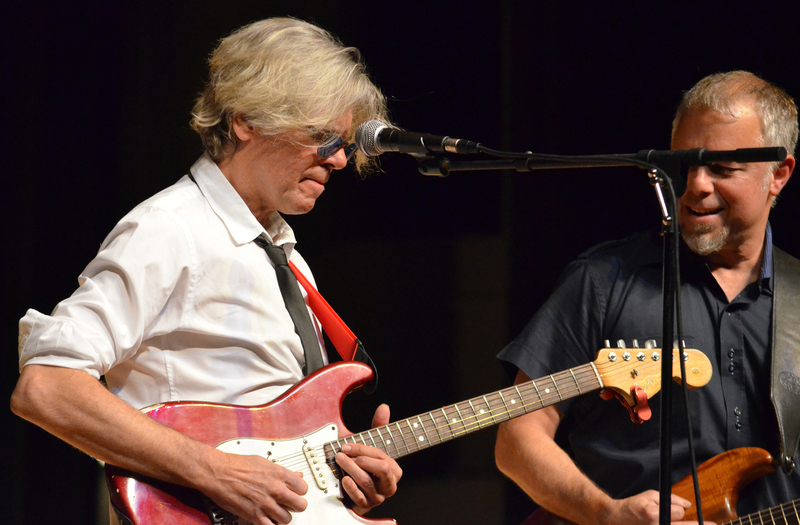 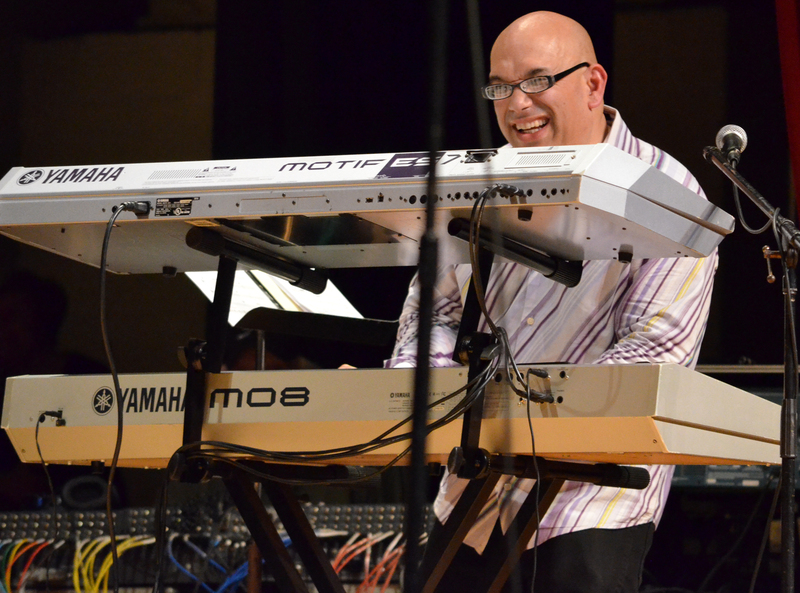 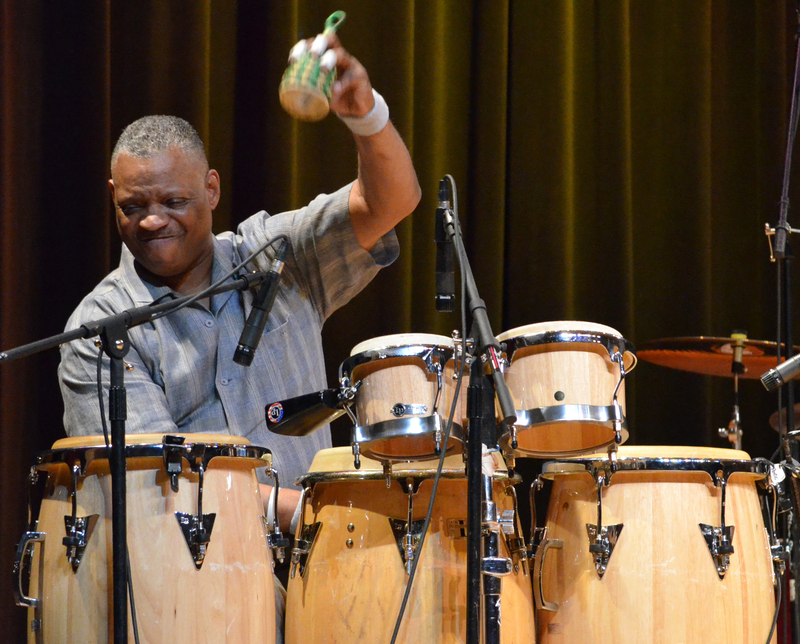 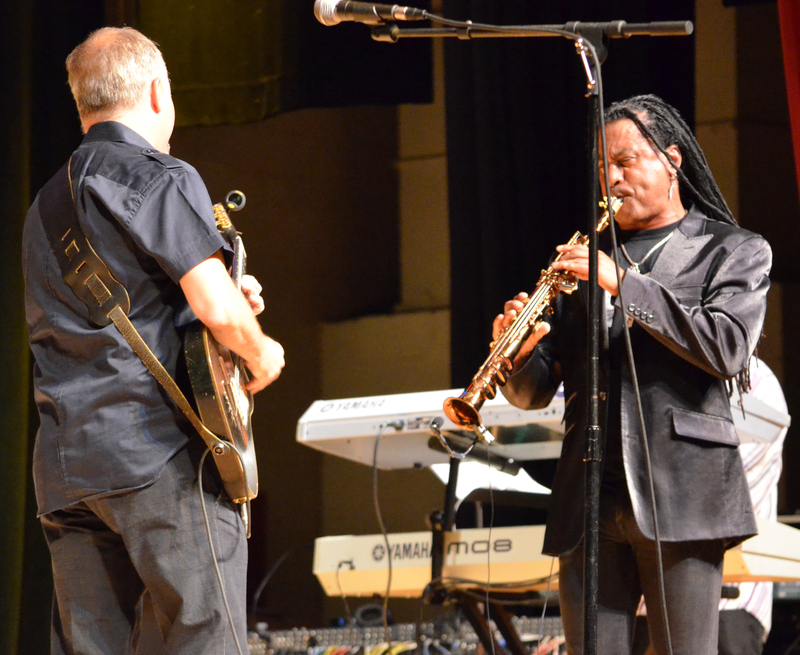 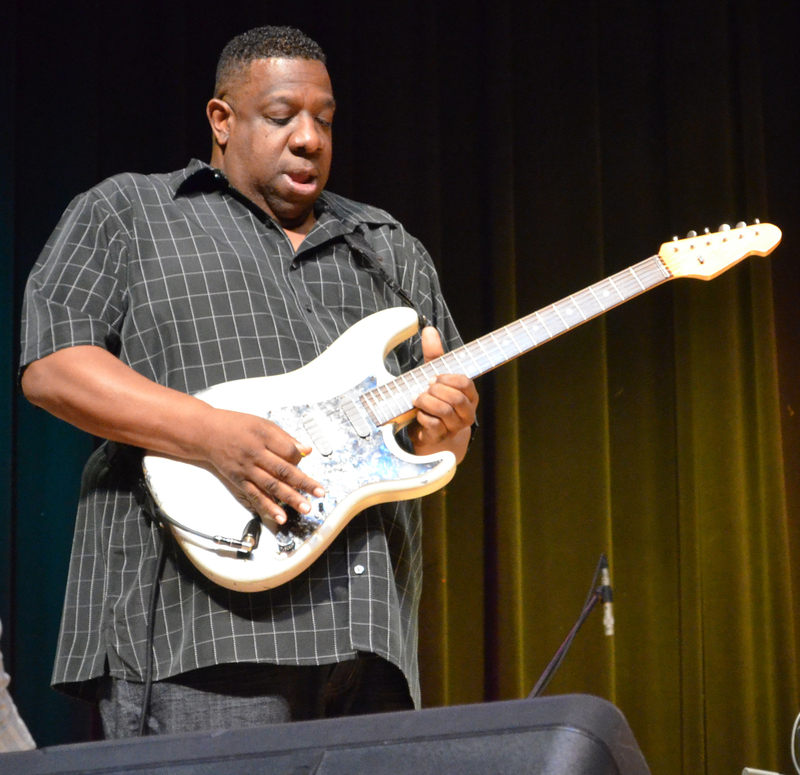 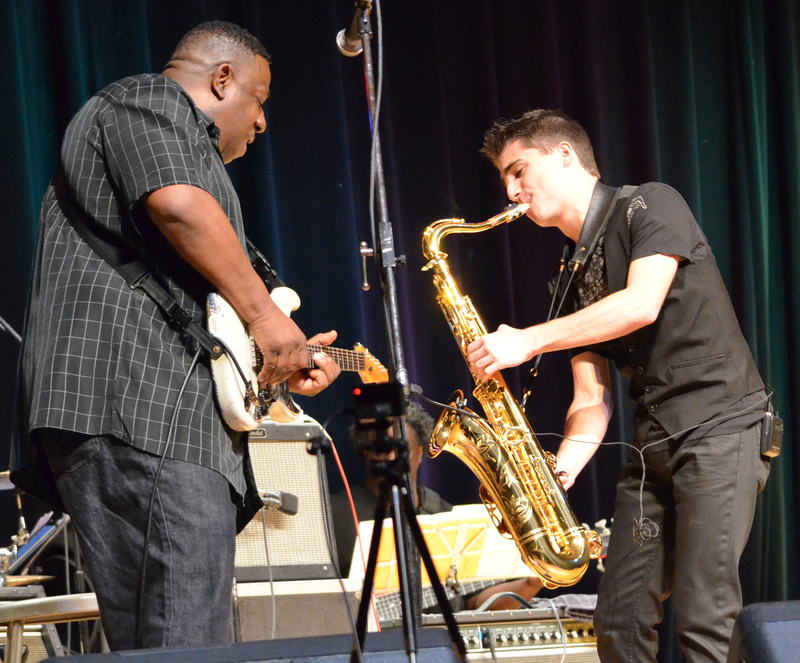 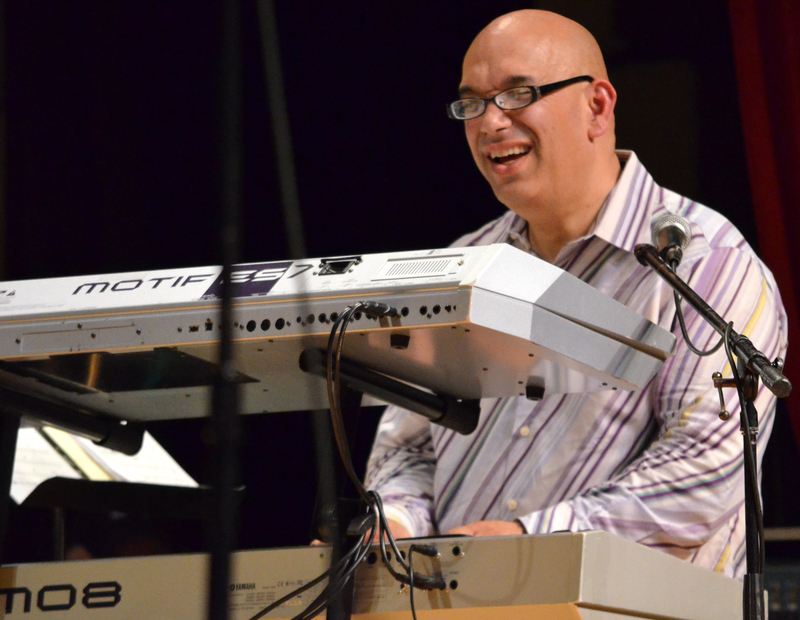 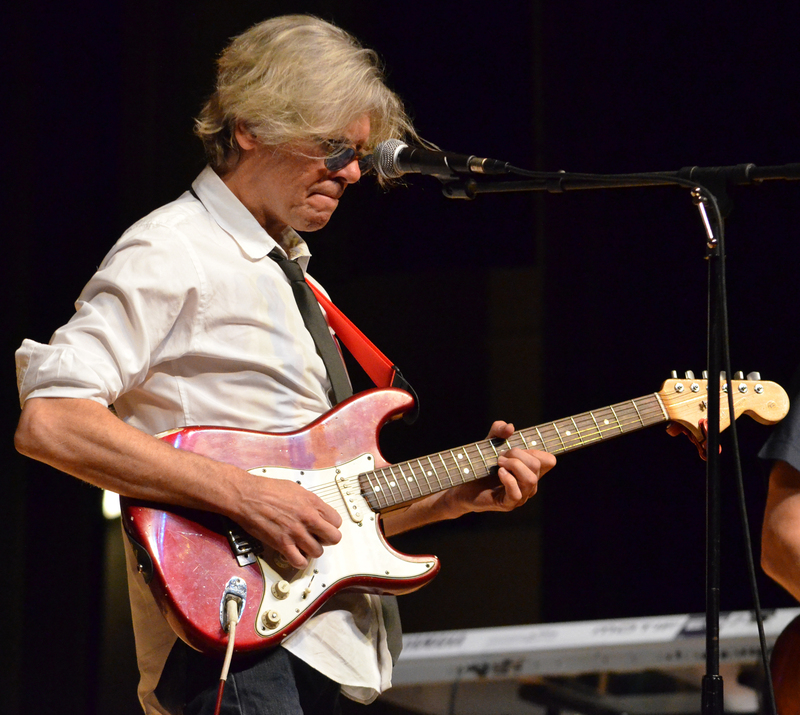 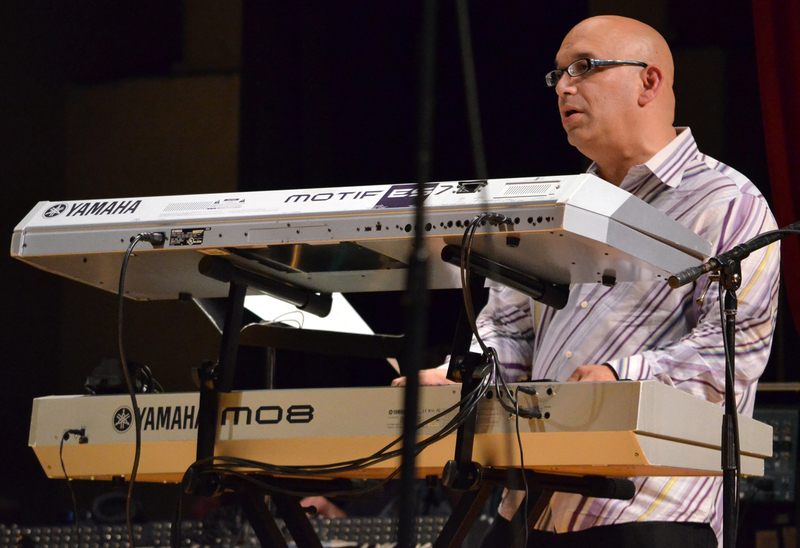 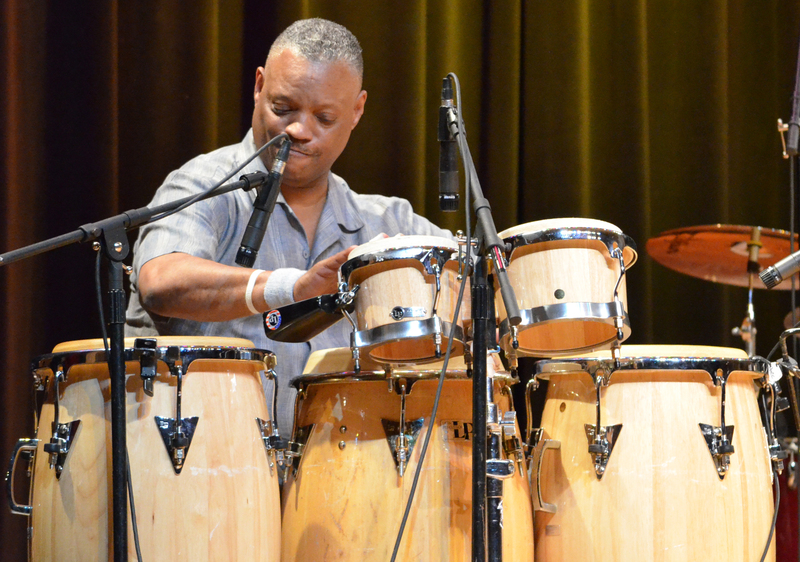 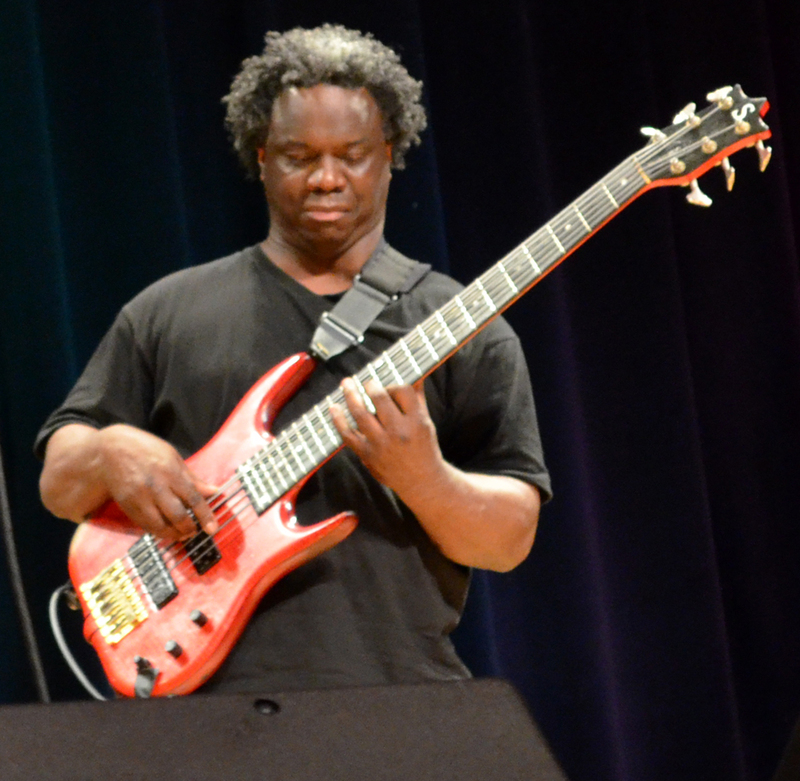 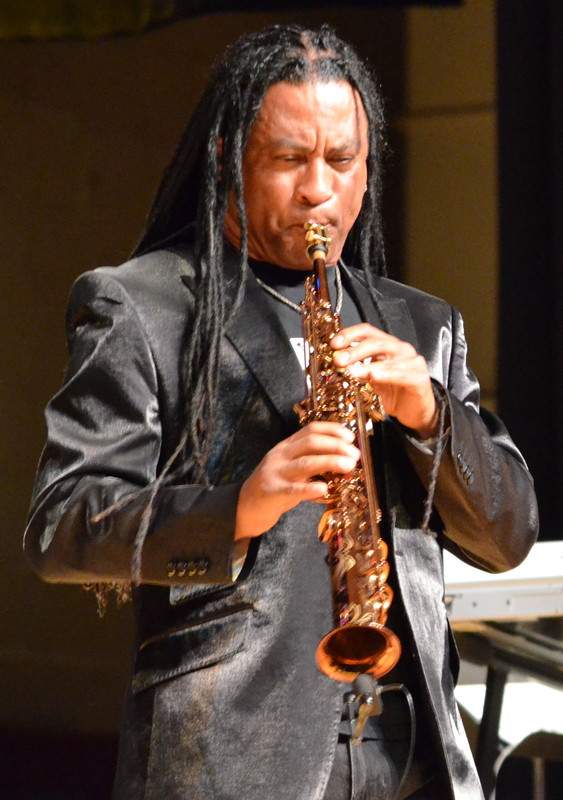 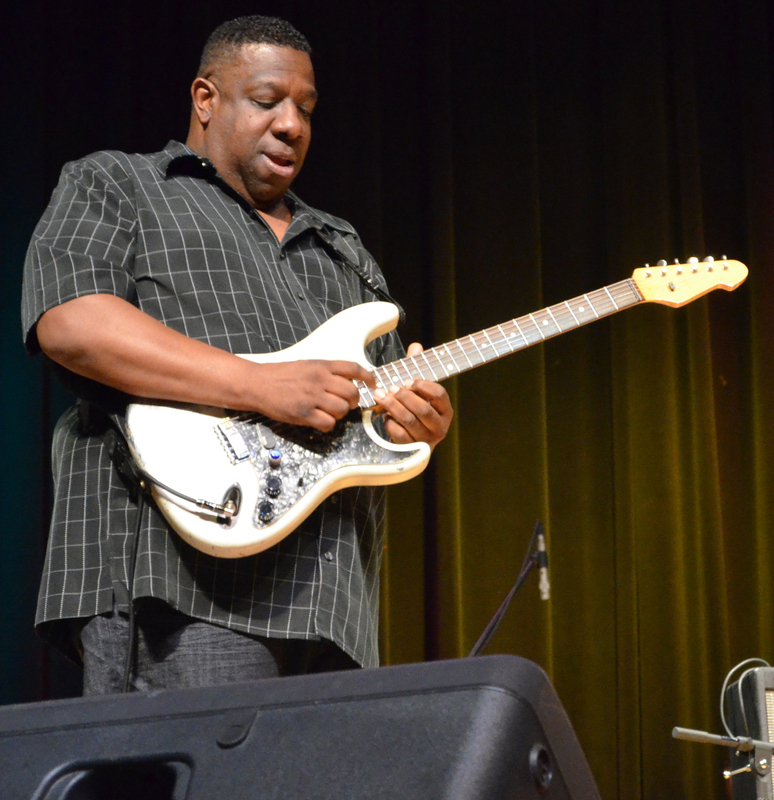 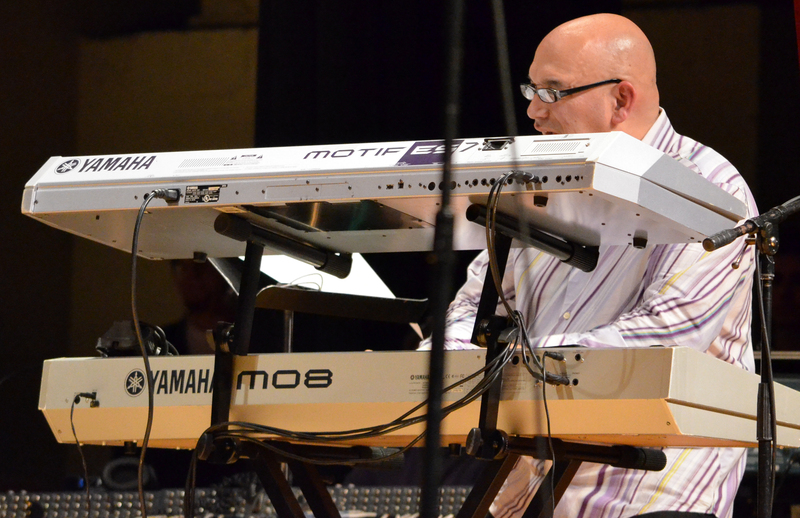 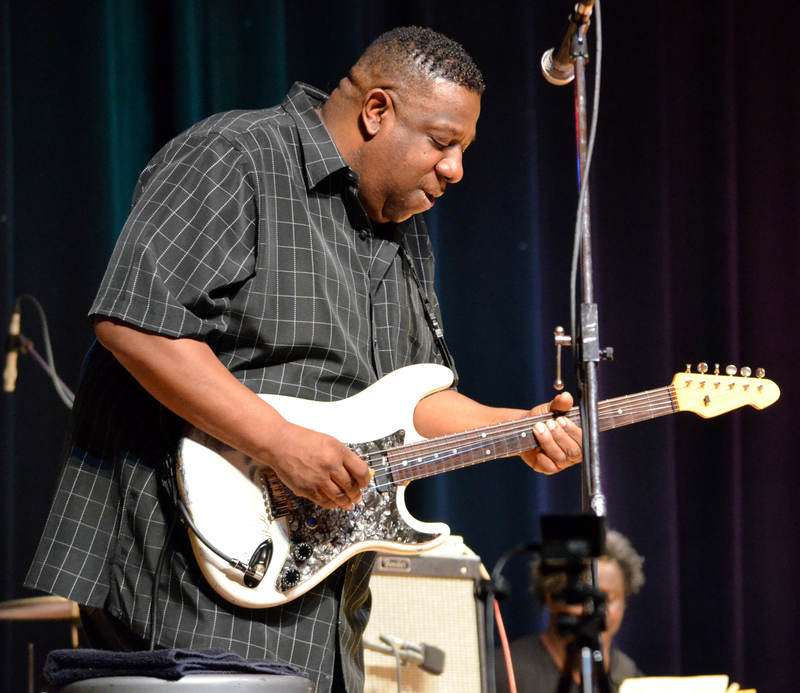 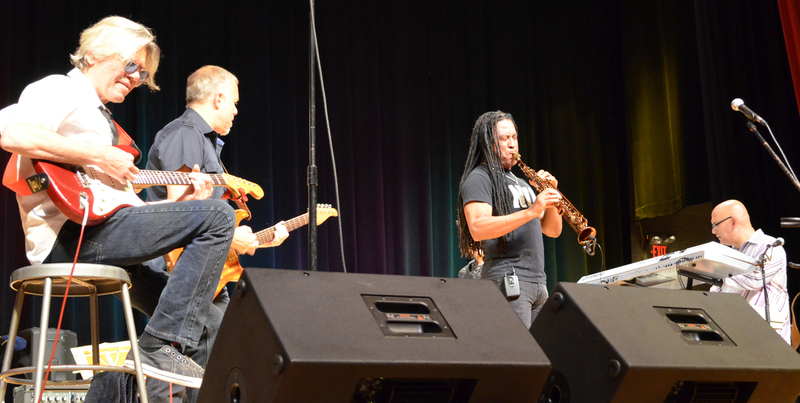 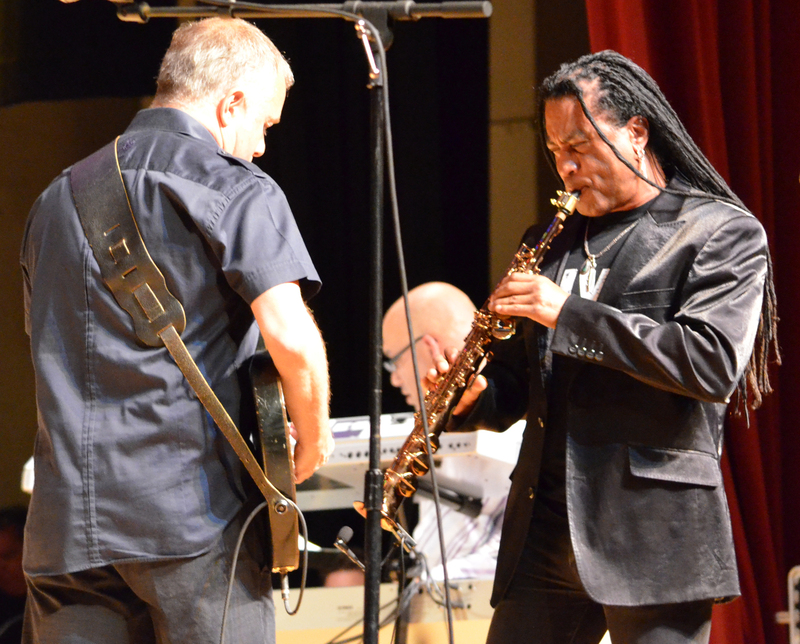 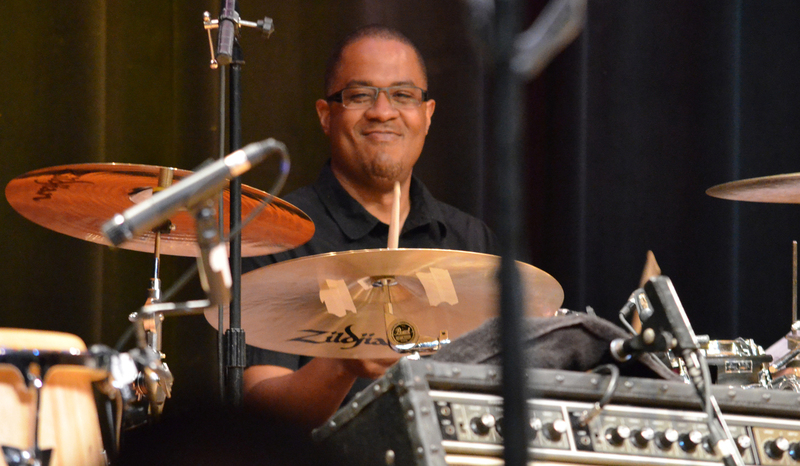 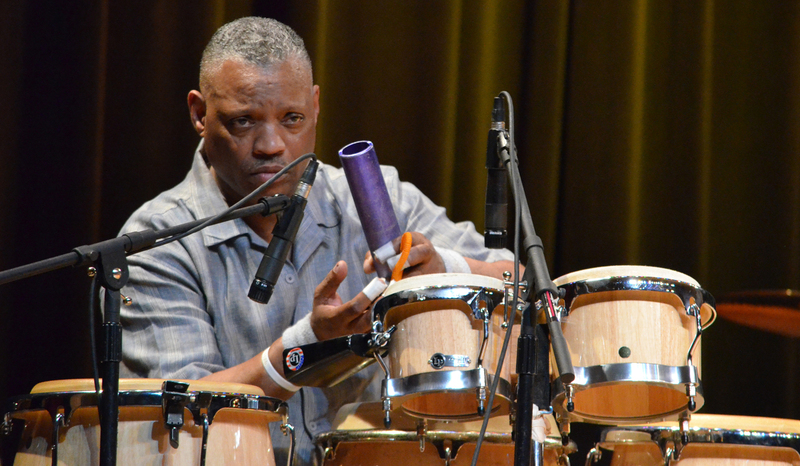 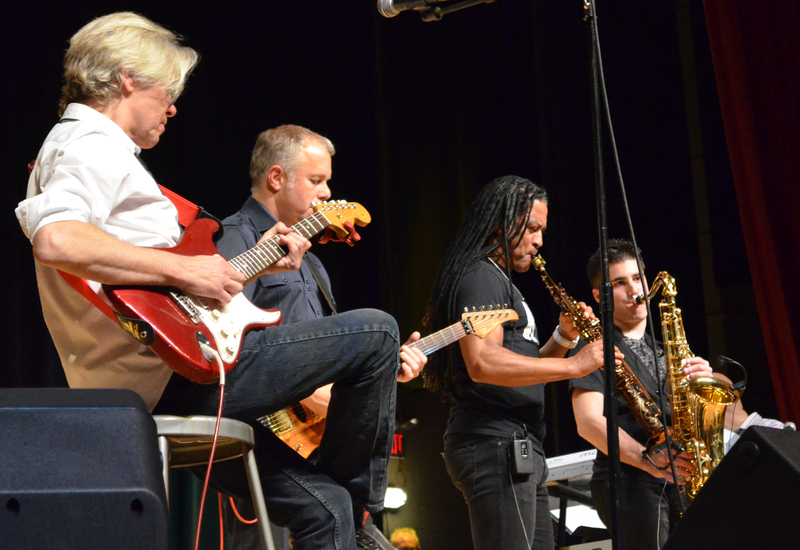 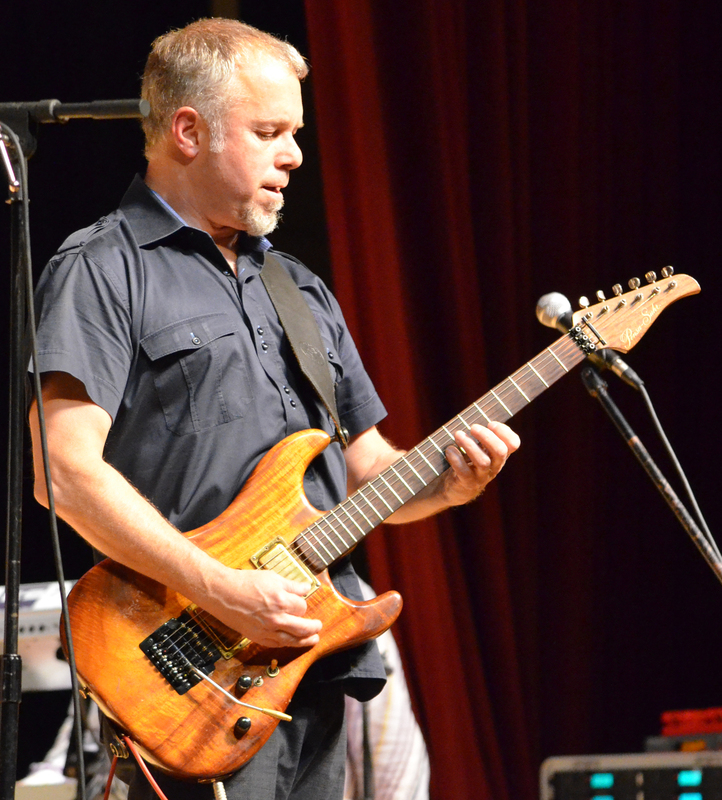 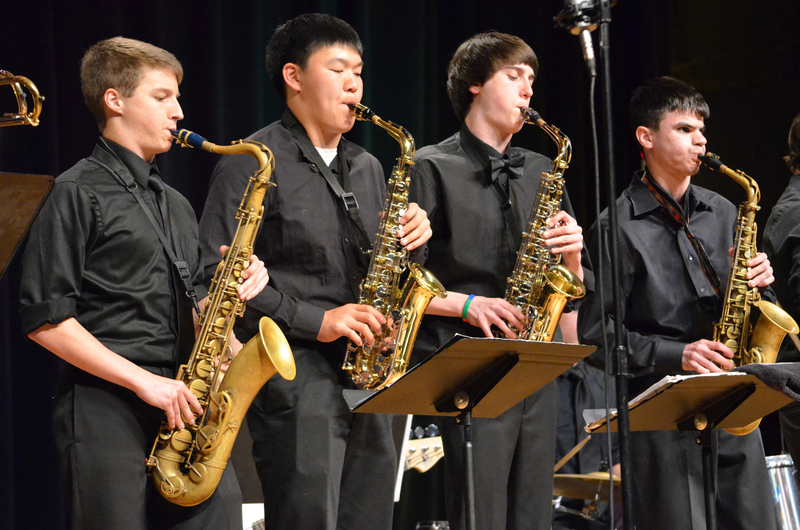 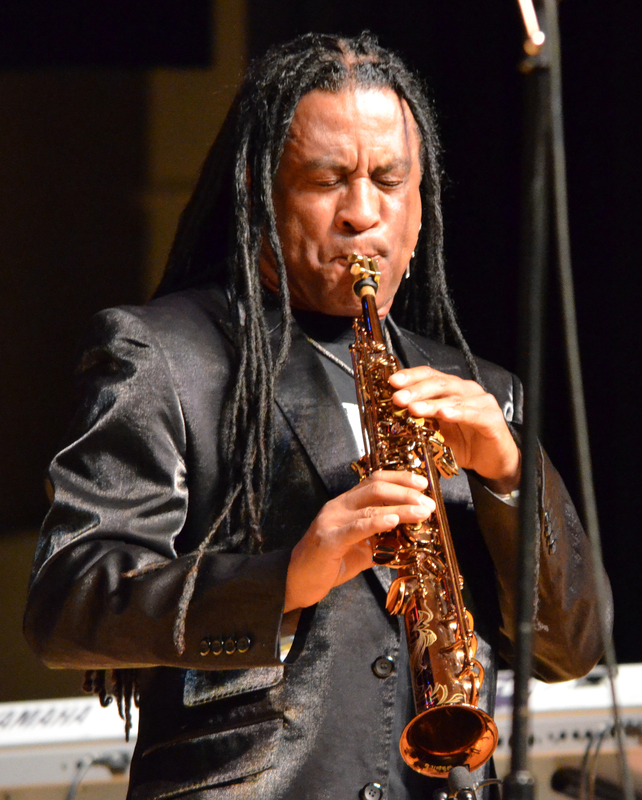 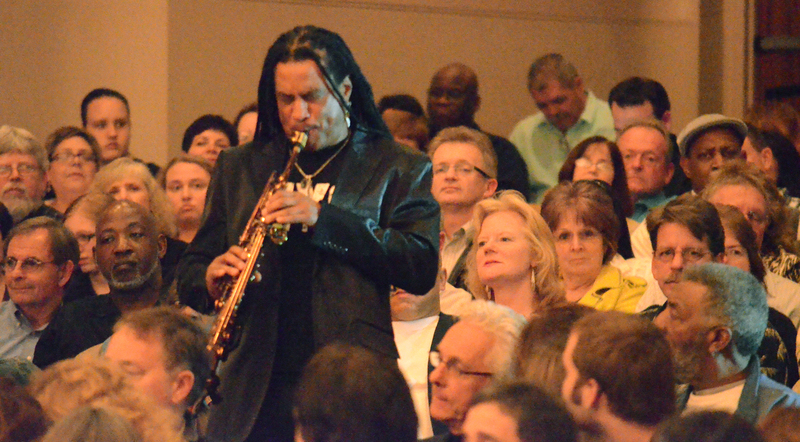 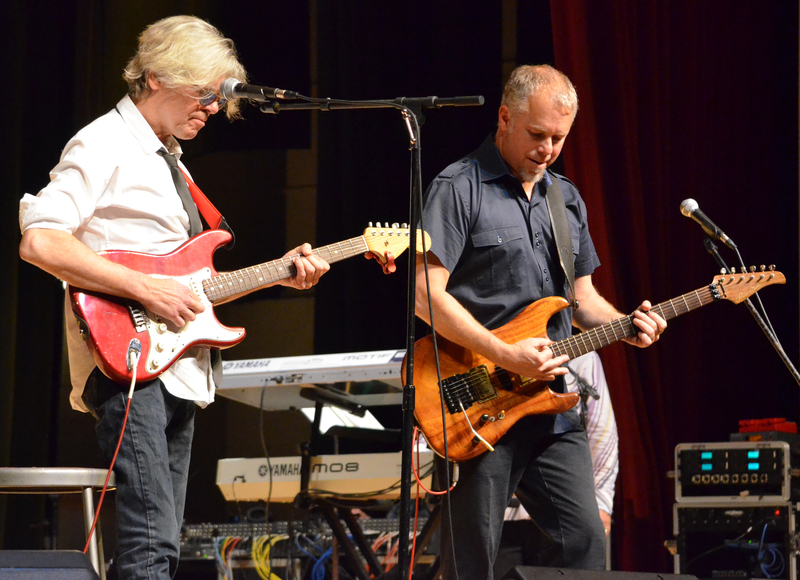 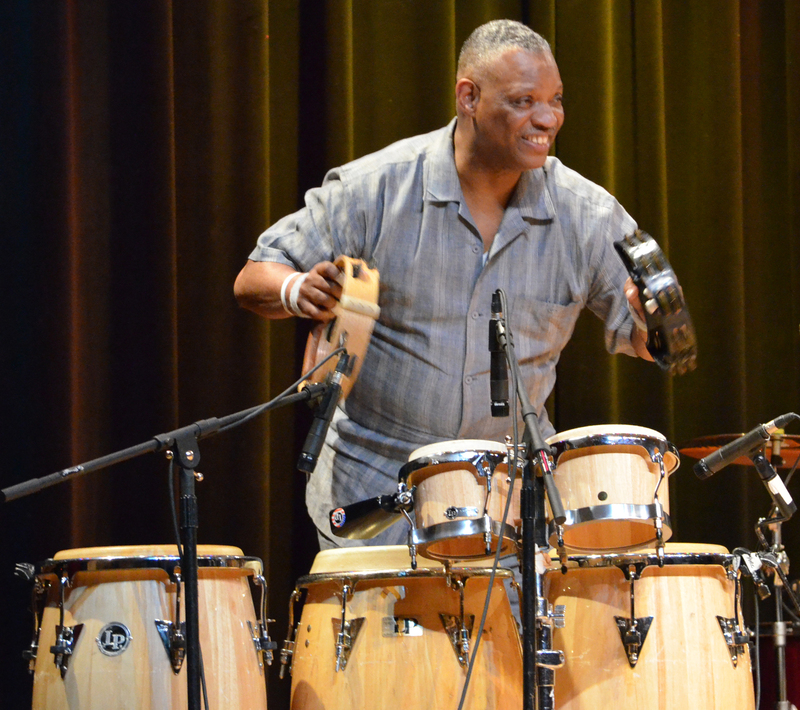 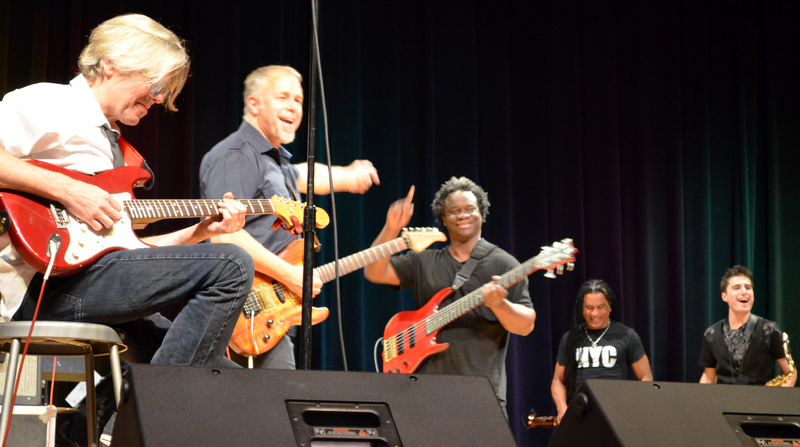 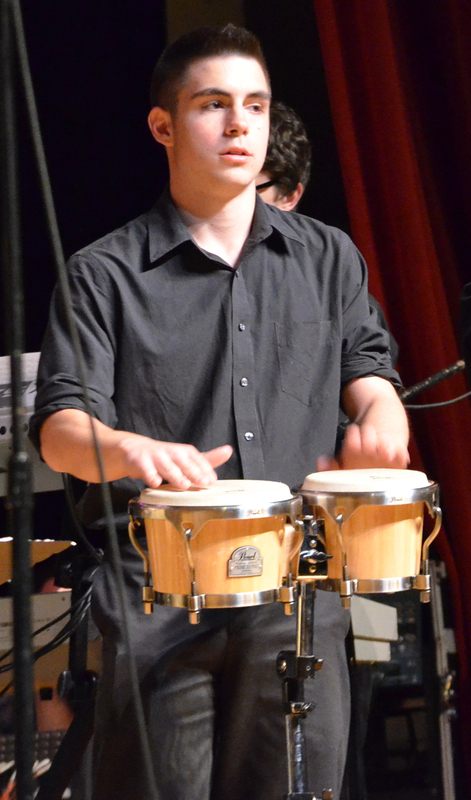 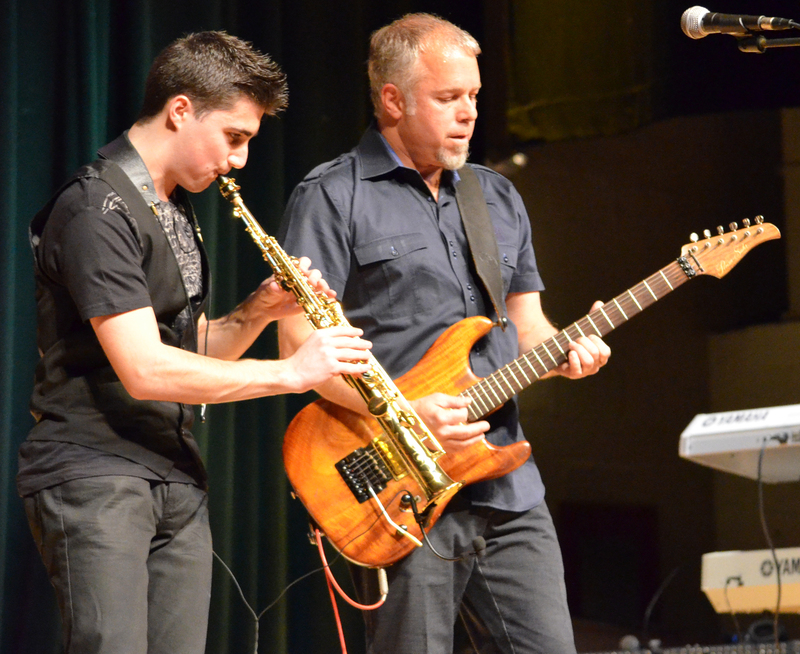 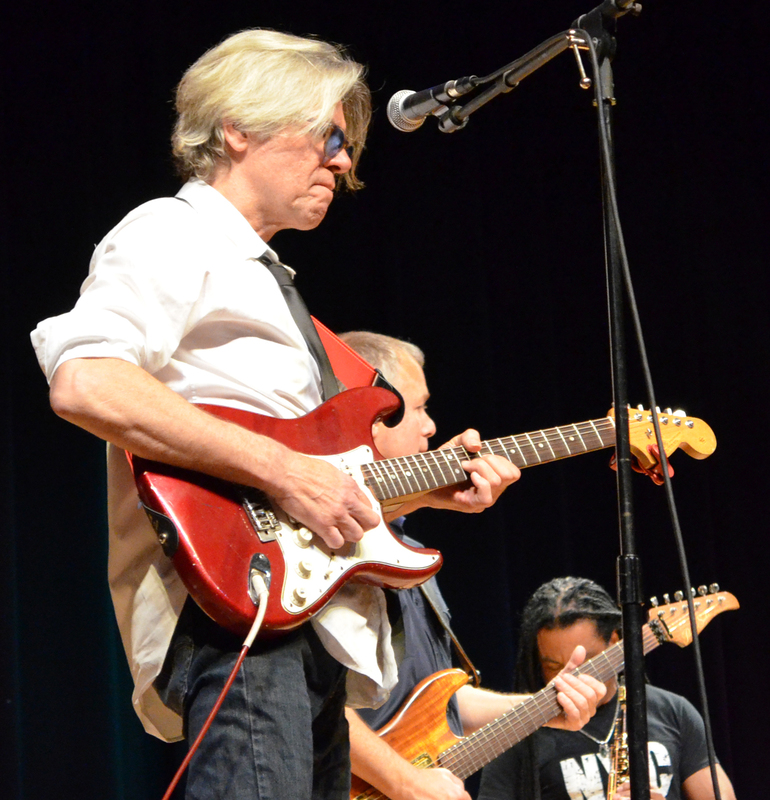 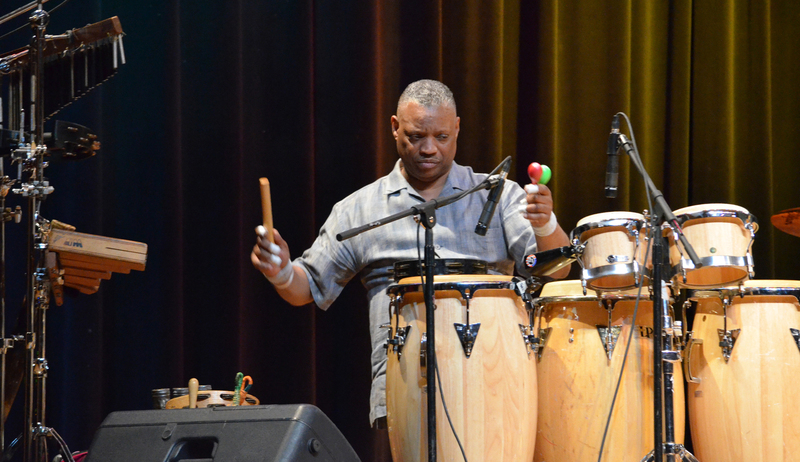 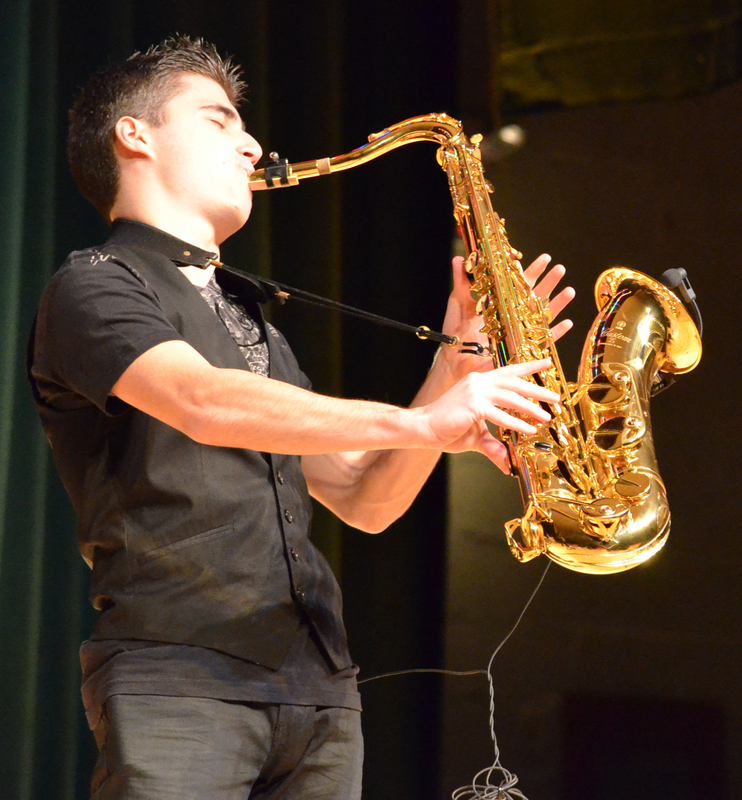 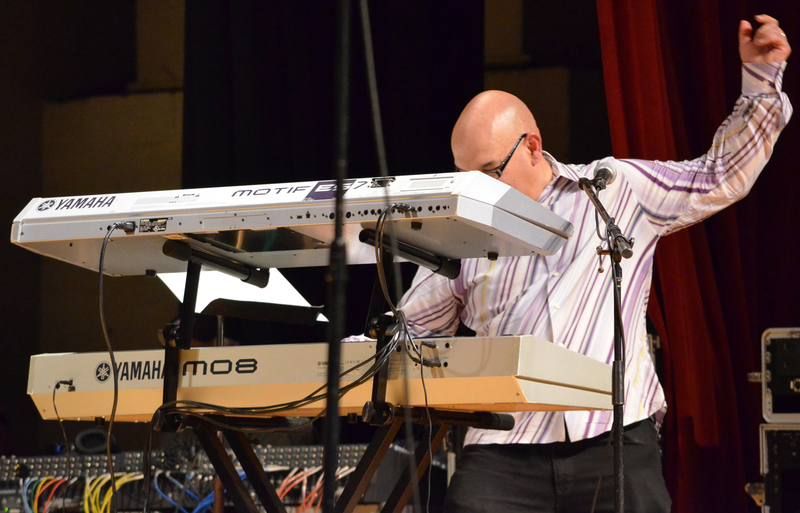 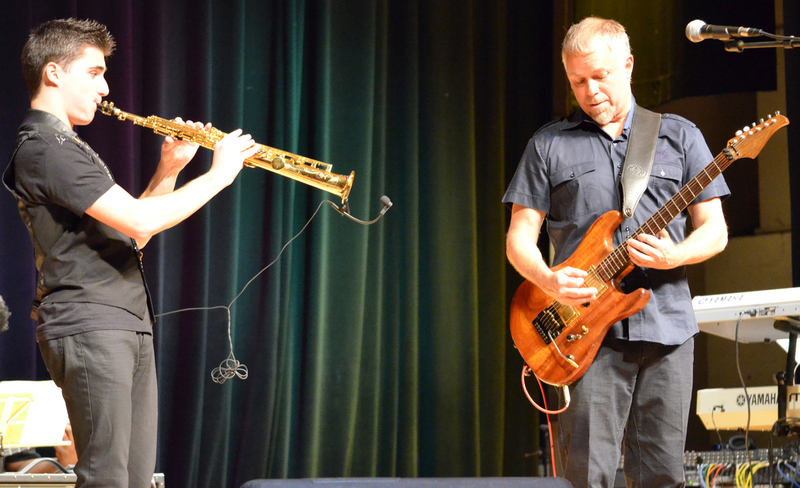 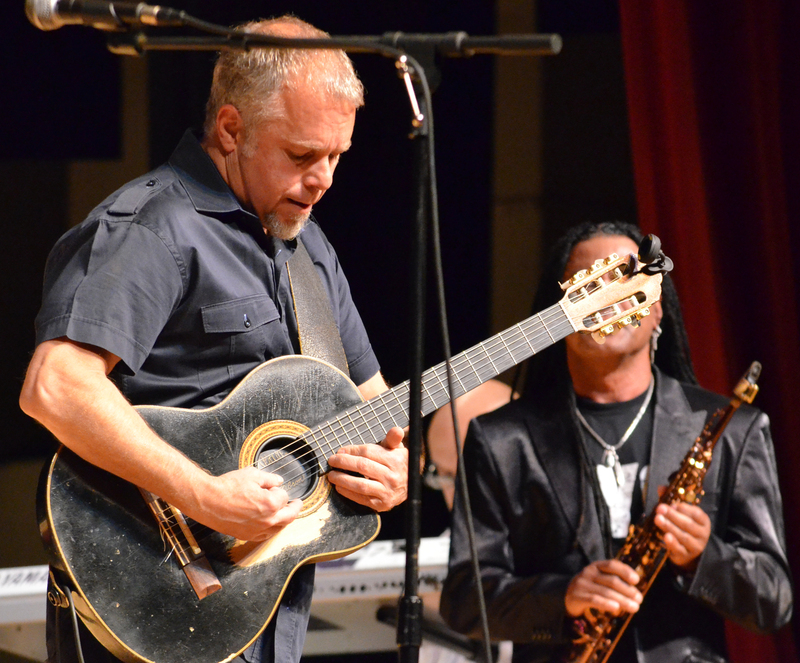 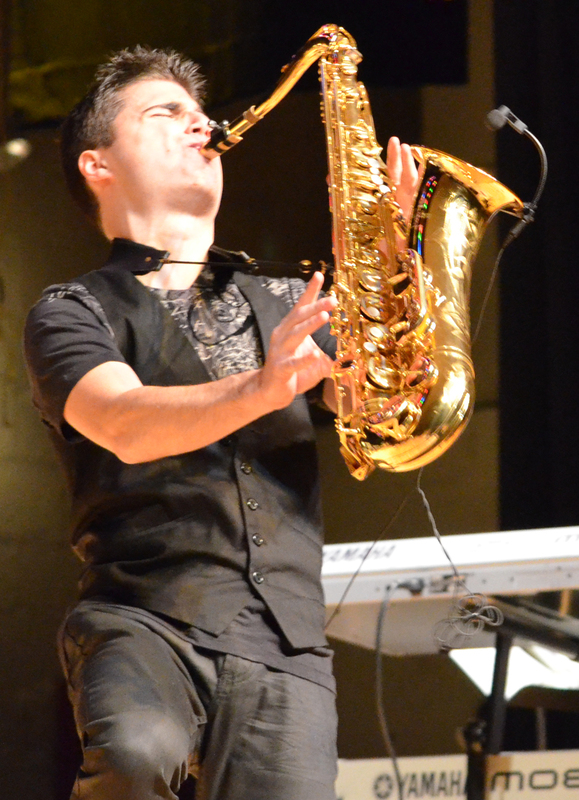 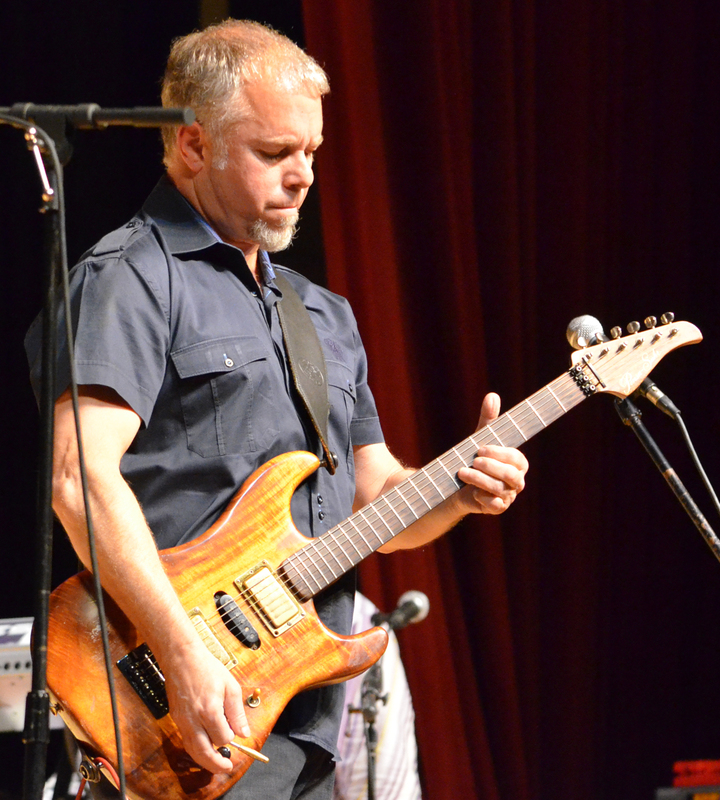 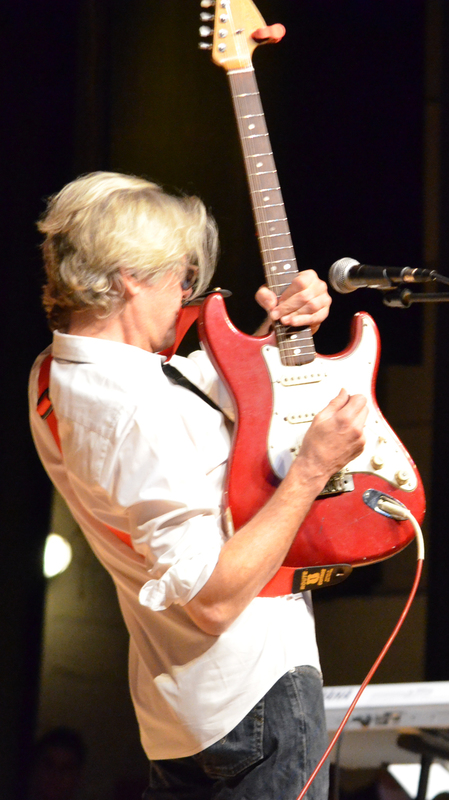 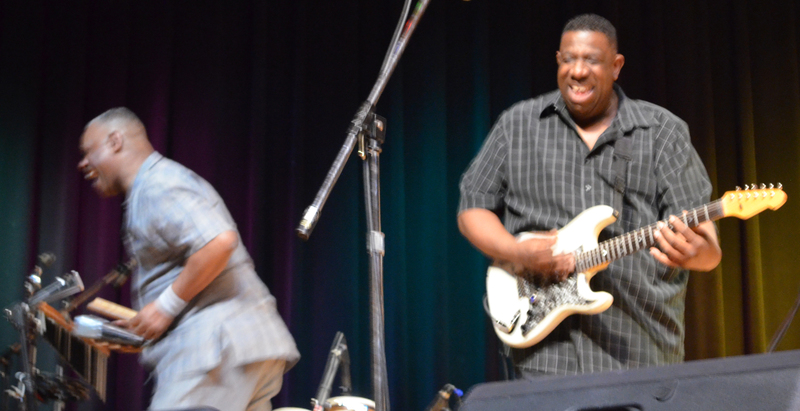 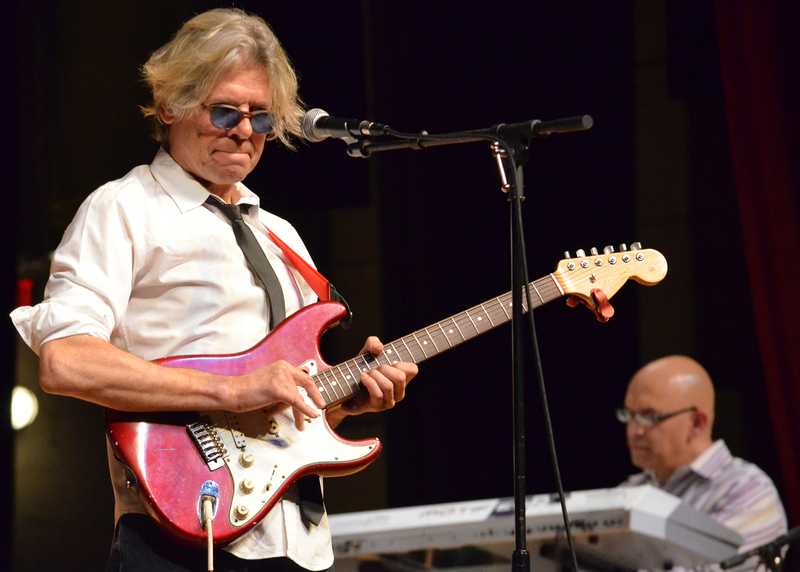 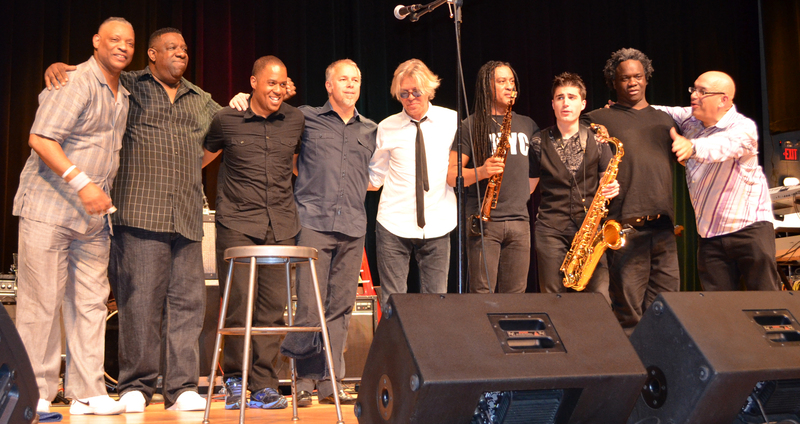 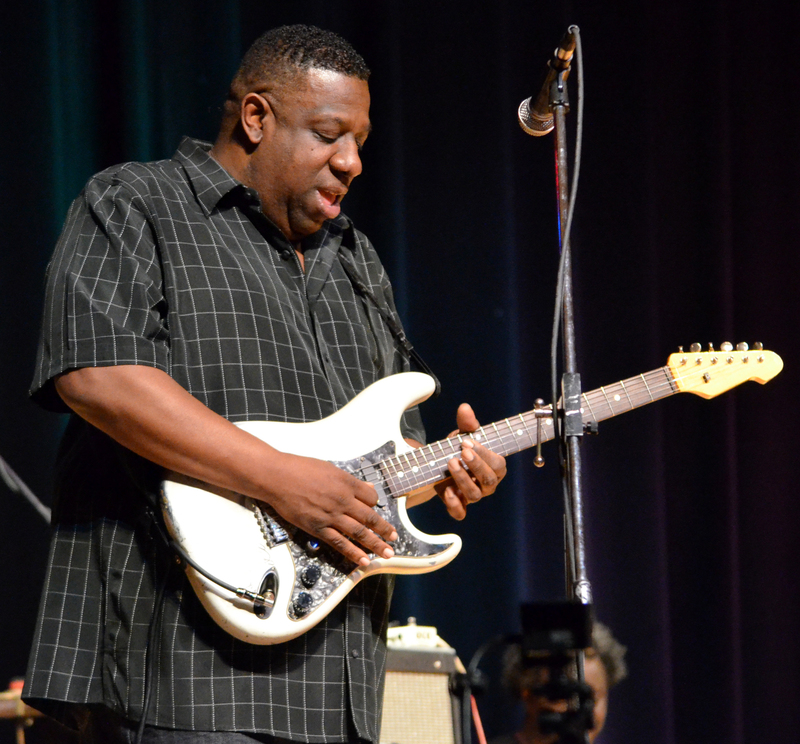 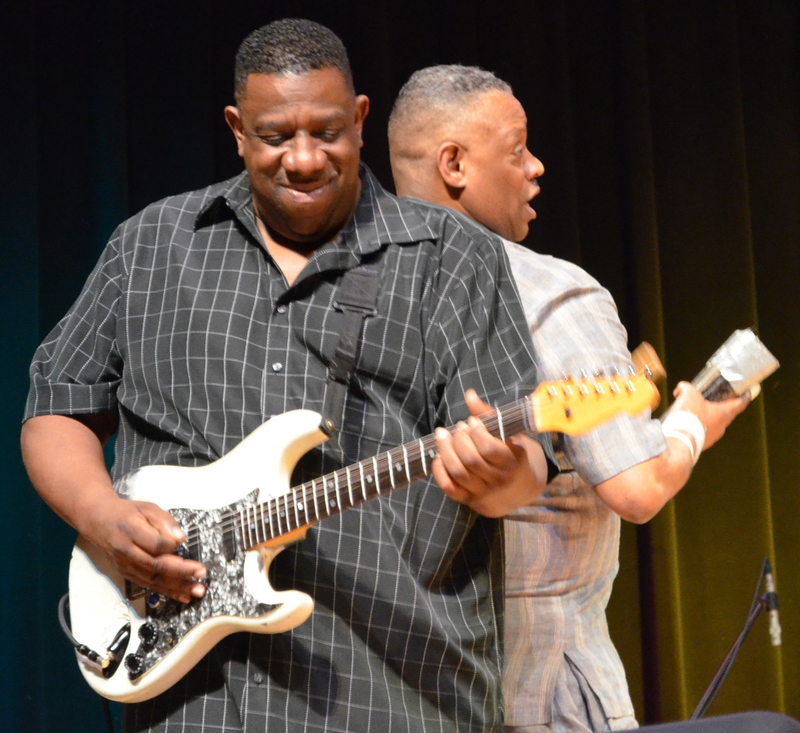 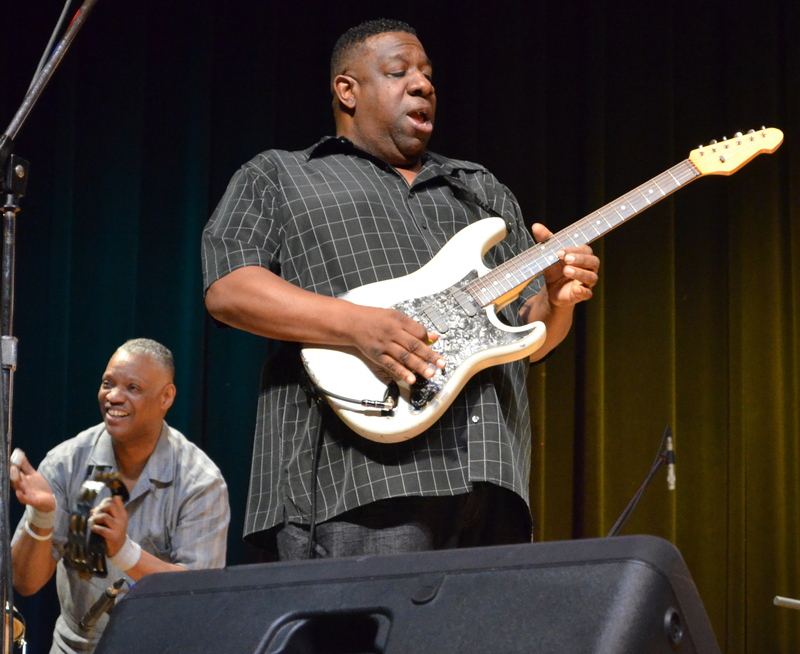 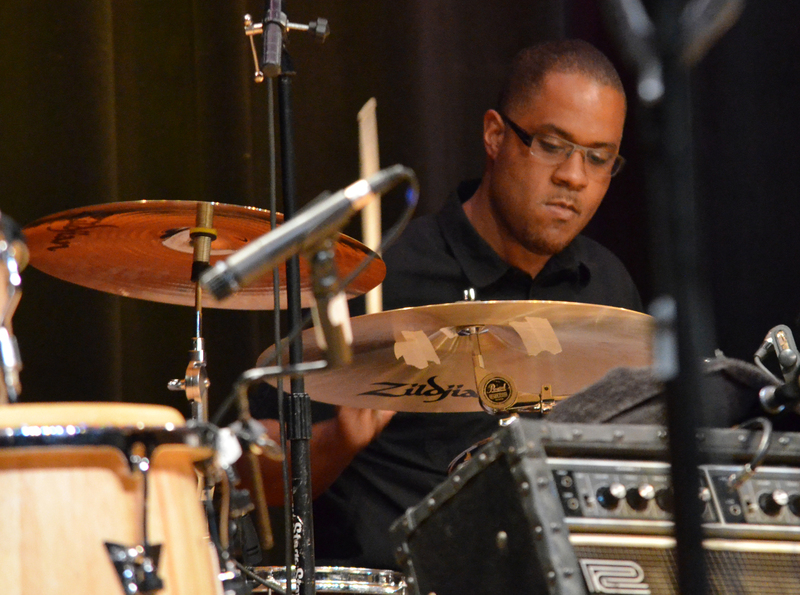 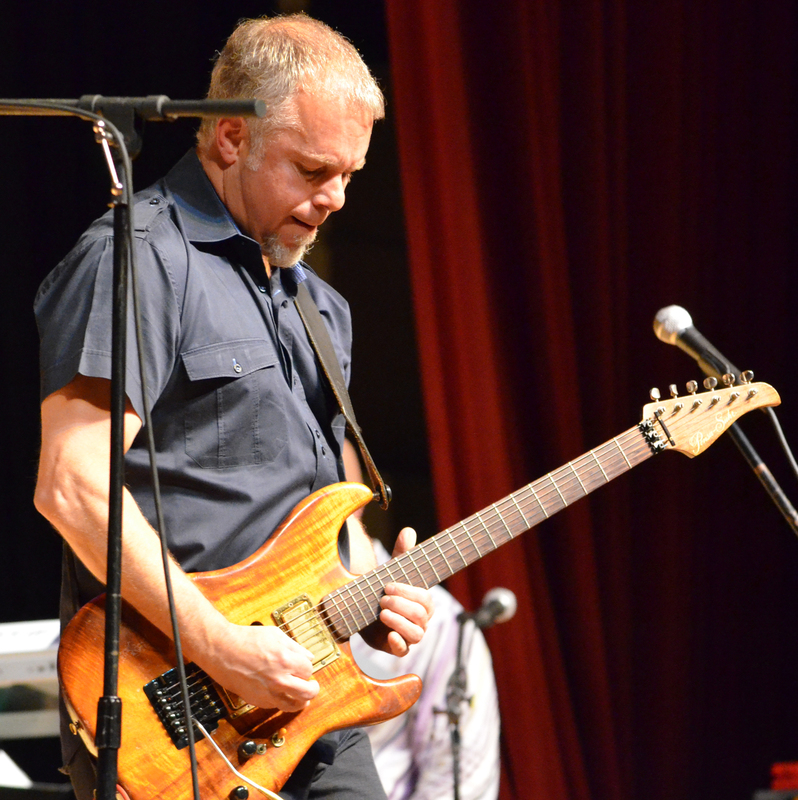 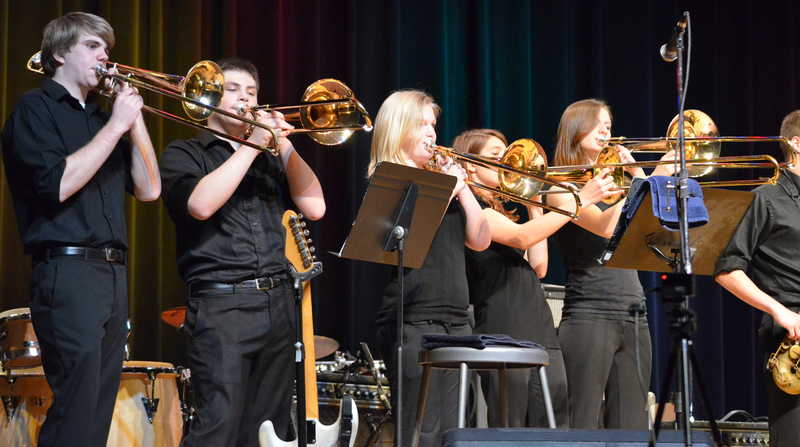 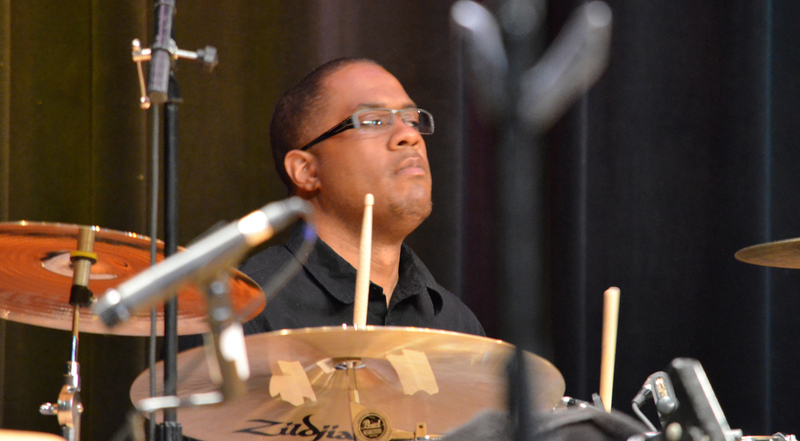 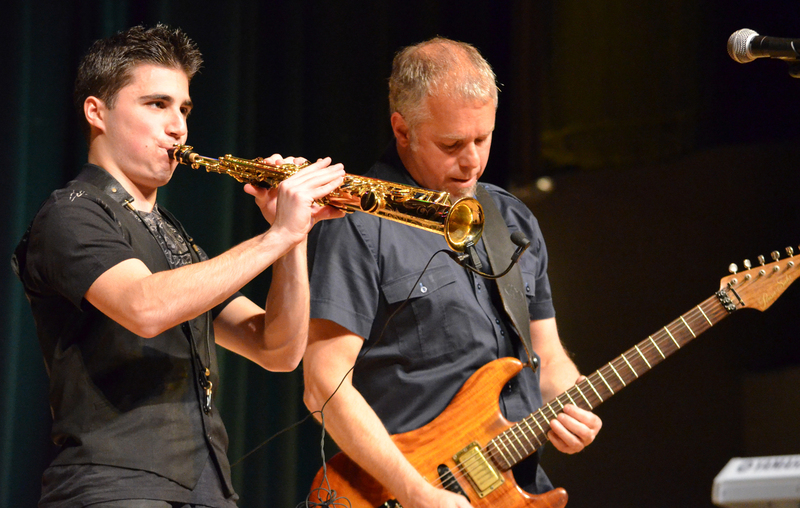 That was the task for the second night of Jay Rowe‘s eleventh annual Smooth Jazz for Scholars concert. 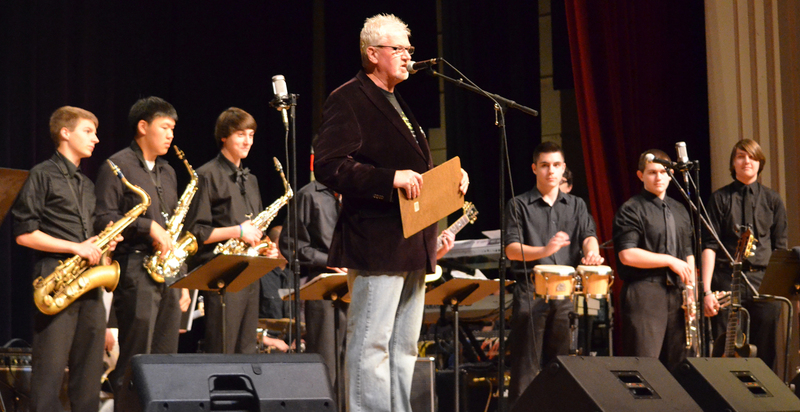 As you can see behind Kevin, before Jay and the house band came out, the show began with a performance by the Foran High School Jazz Band, under the direction of Jessica Shearer. 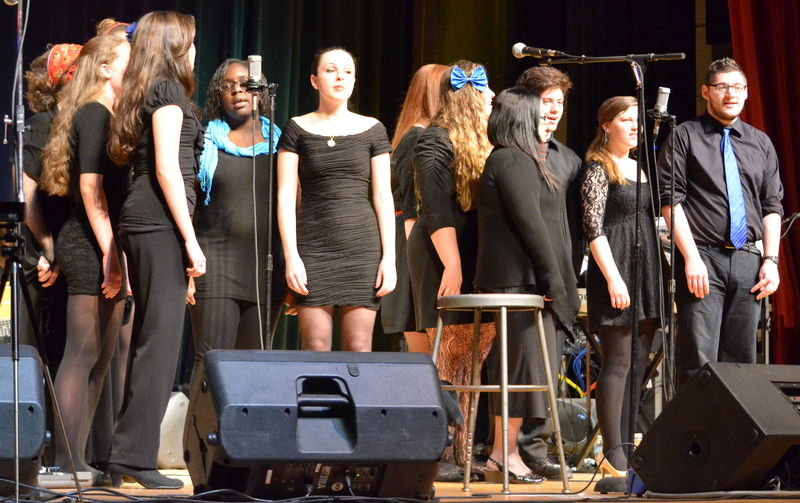 Their song featured a solo by Jay. 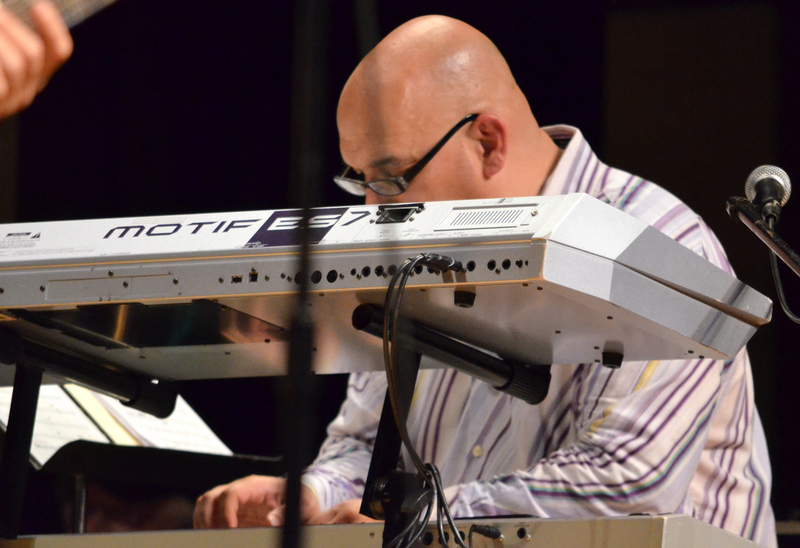 Pictures of what was visible can be seen later in this post. 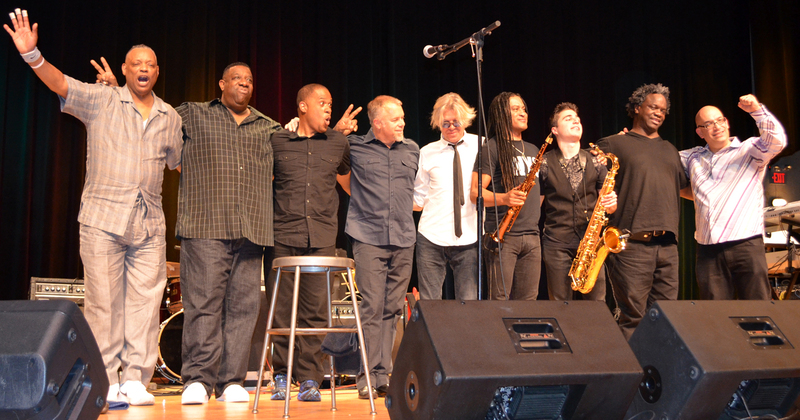 The show took place on Steve’s birthday. 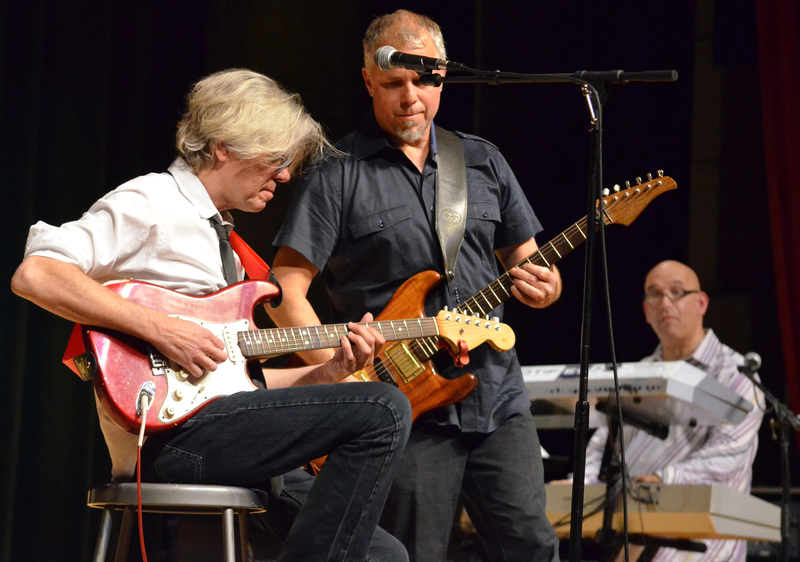 Unfortunately, Jeff went blind a few years ago. 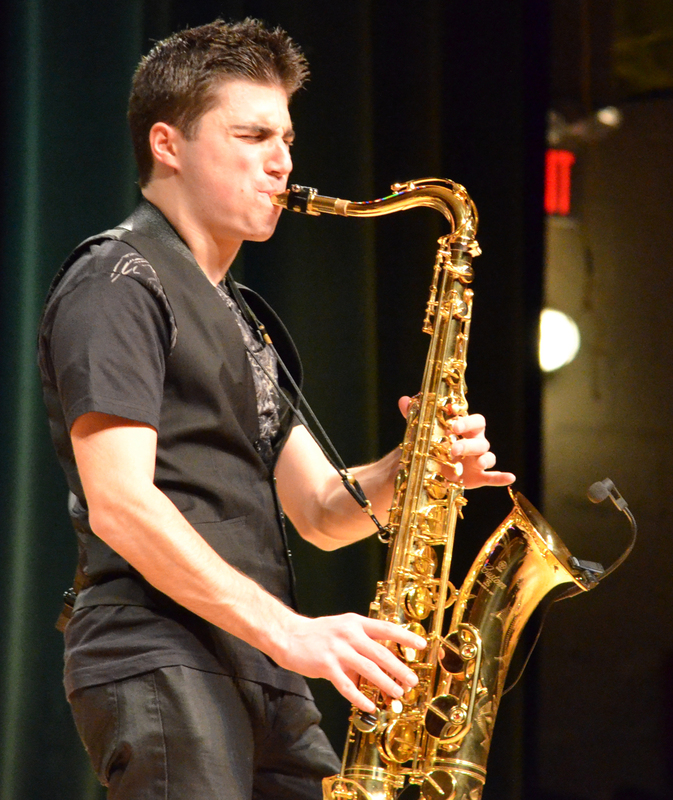 But he hasn’t let that stop him from performing. 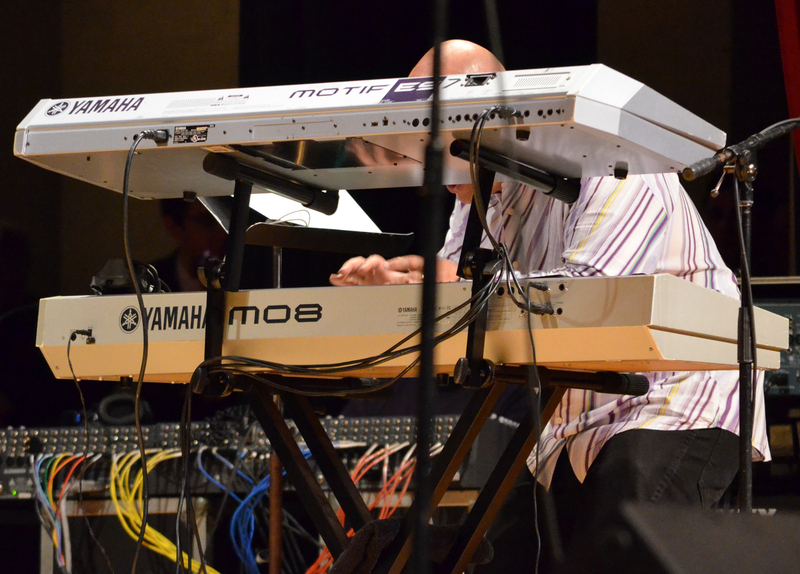 He still sounds great. 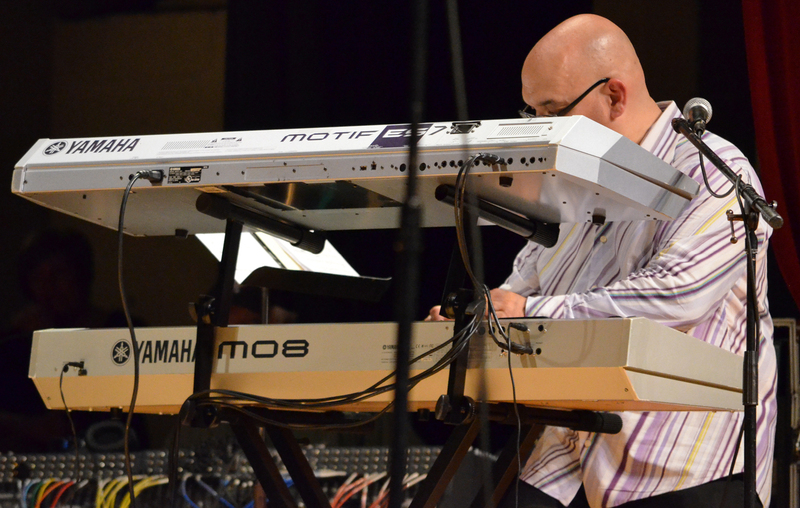 His courage and perseverance are admirable. 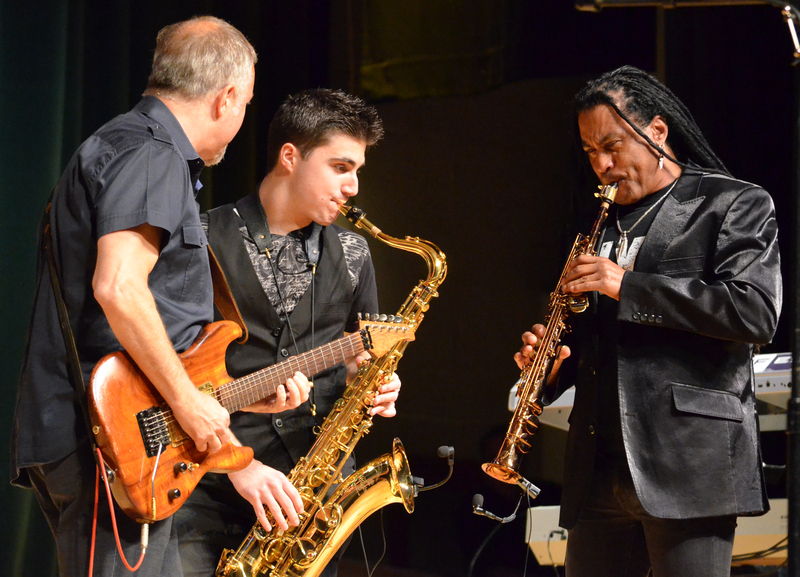 The second night of Smooth Jazz for Scholars was now complete. 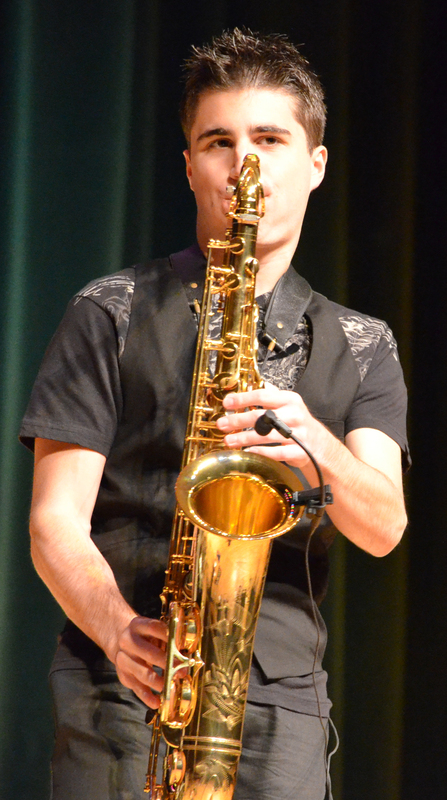 I hope you enjoyed this pictorial journey through both nights of Smooth Jazz for Scholars. 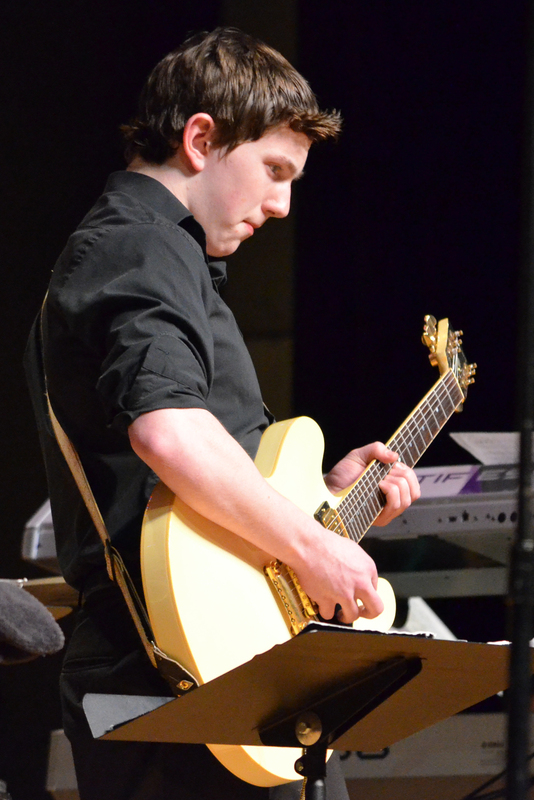 Until next year, so long.